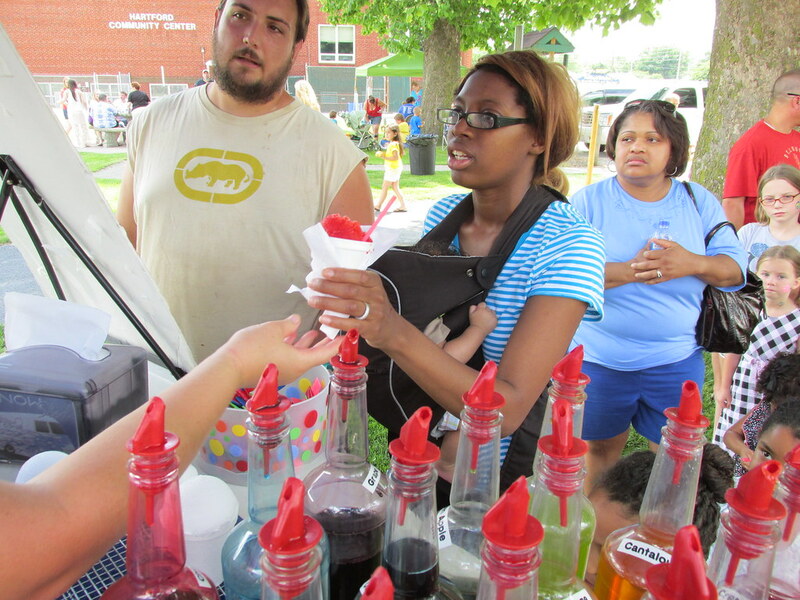 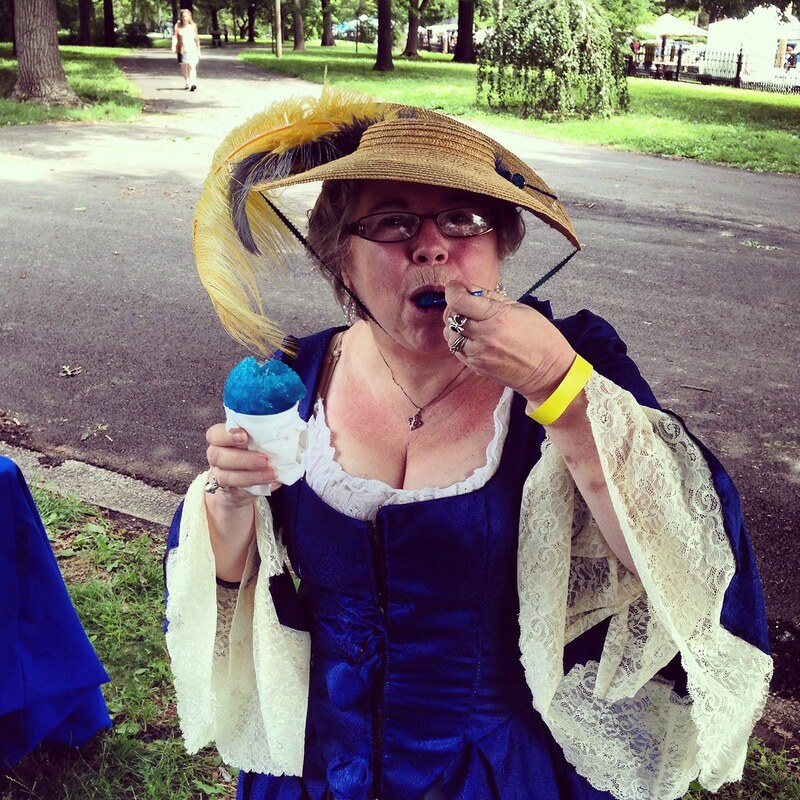 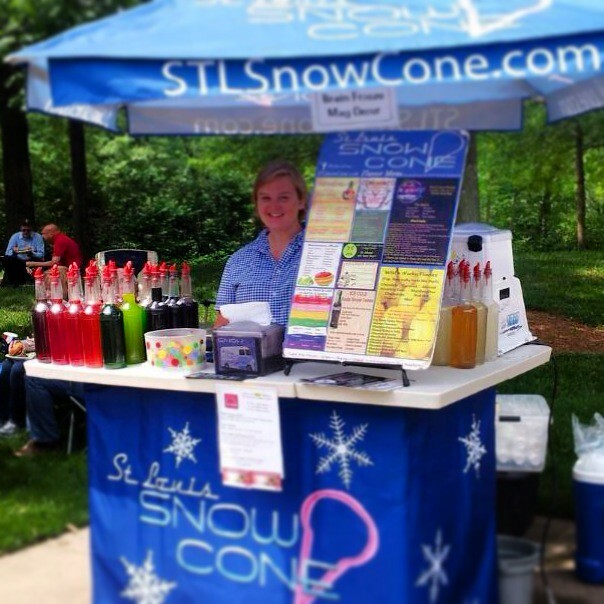 St. Louis Snow Cone is a true St. Louis original. 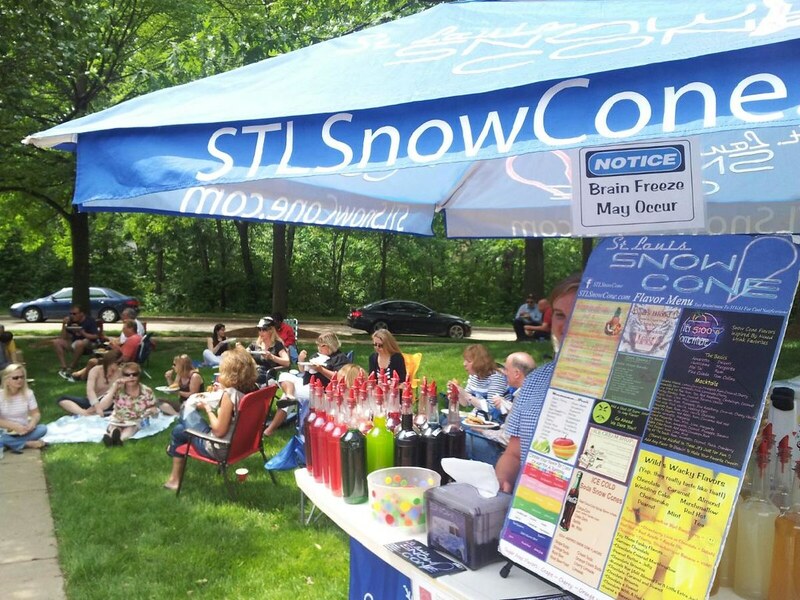 From syrups, made locally by RIO Syrup, to our never ending Flavor Menu St. Louis Snow Cone was created in 2004 because of life long love of Snow Cones and a childhood dream to own a Snow Cone stand. 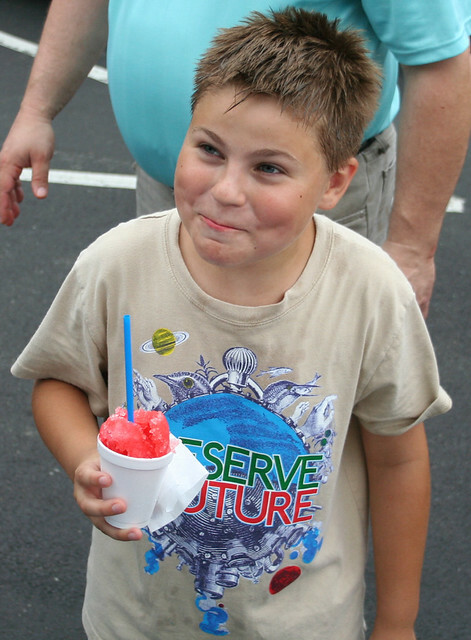 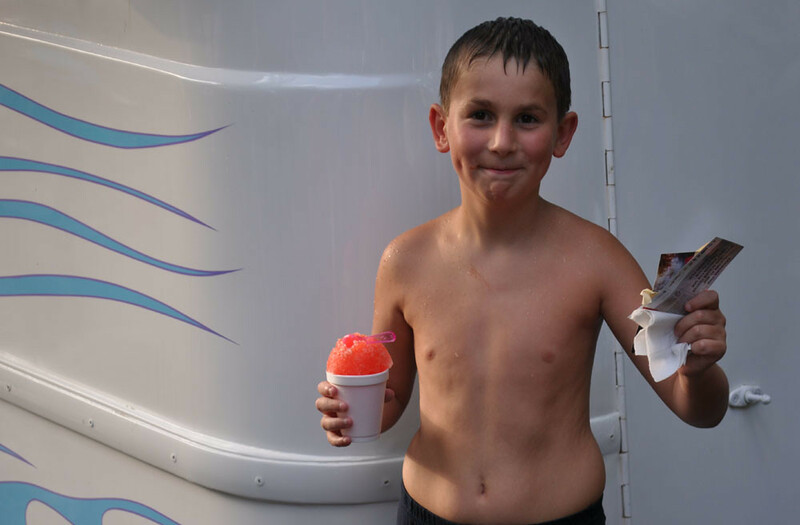 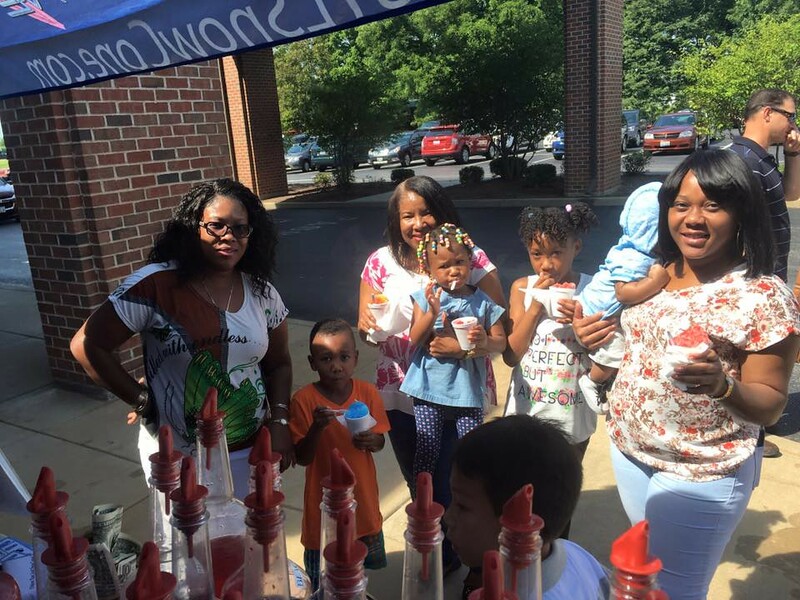 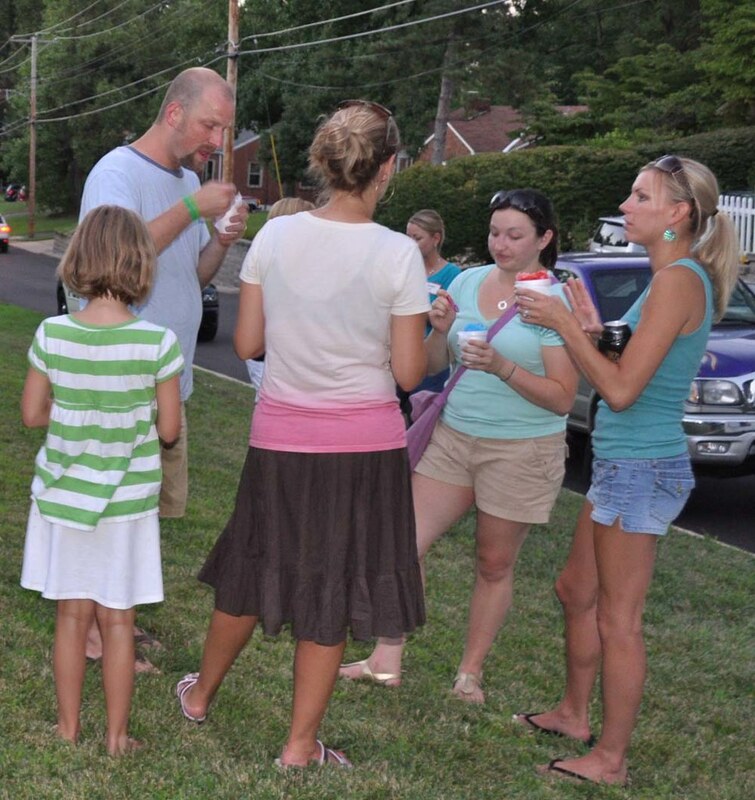 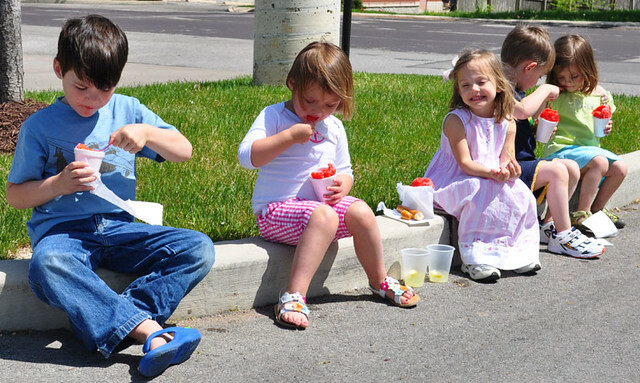 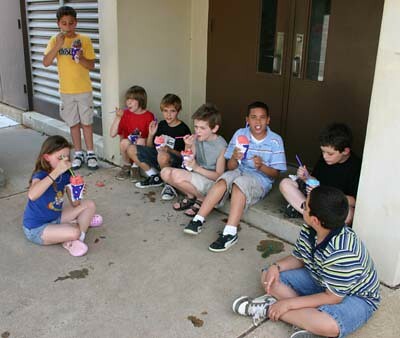 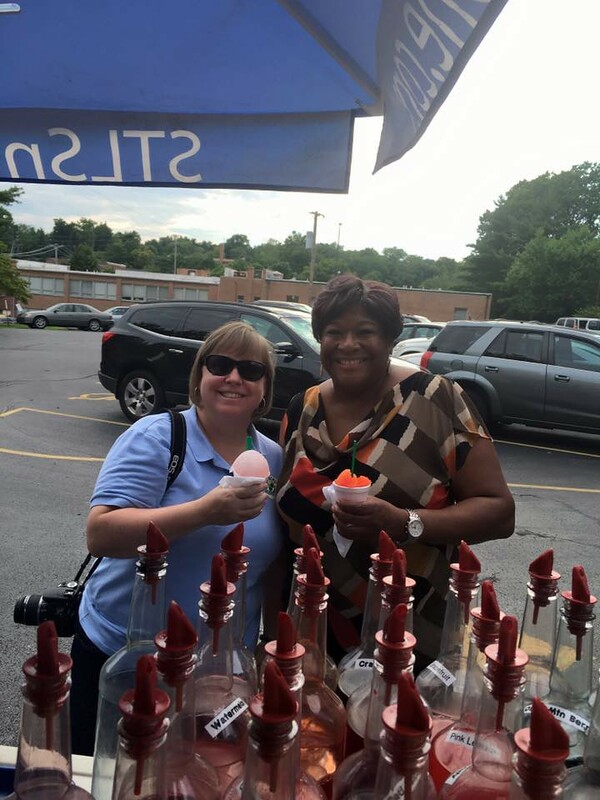 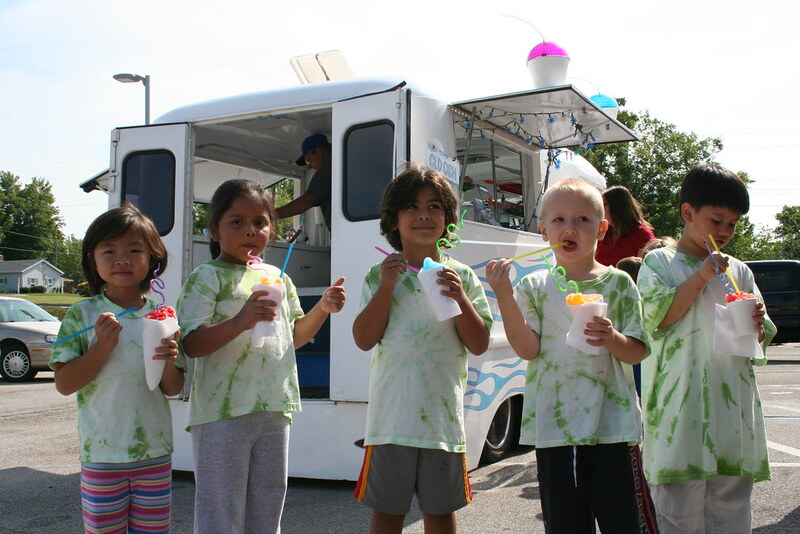 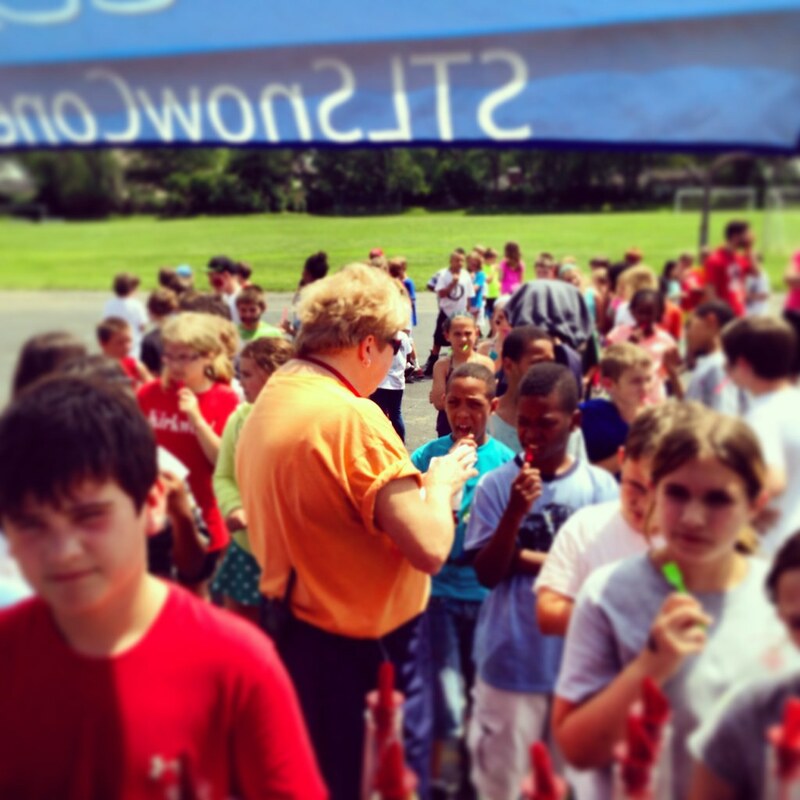 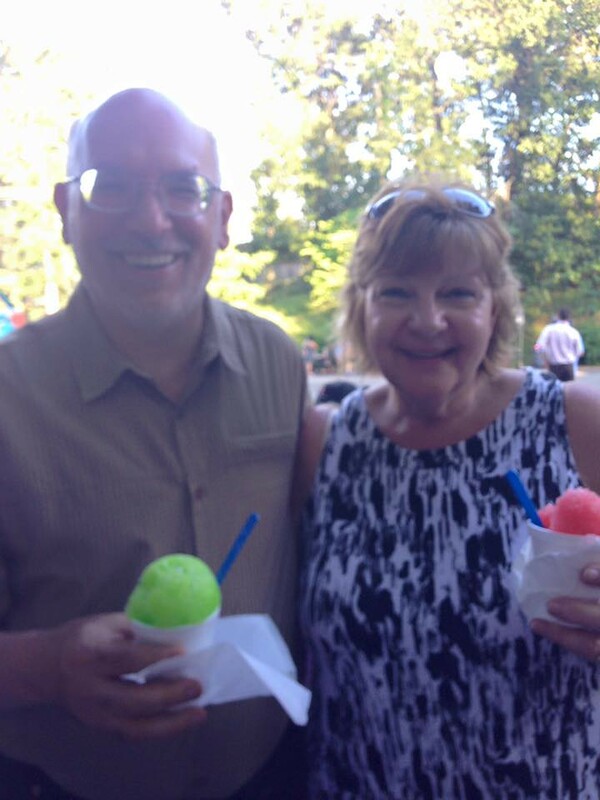 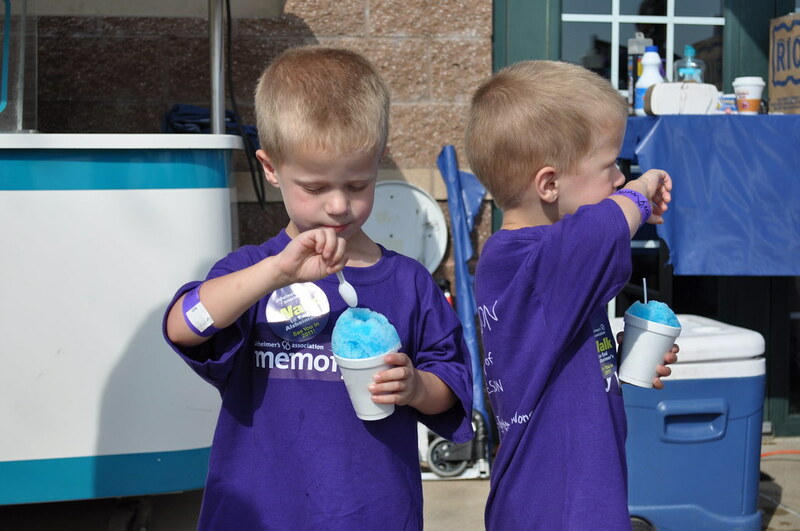 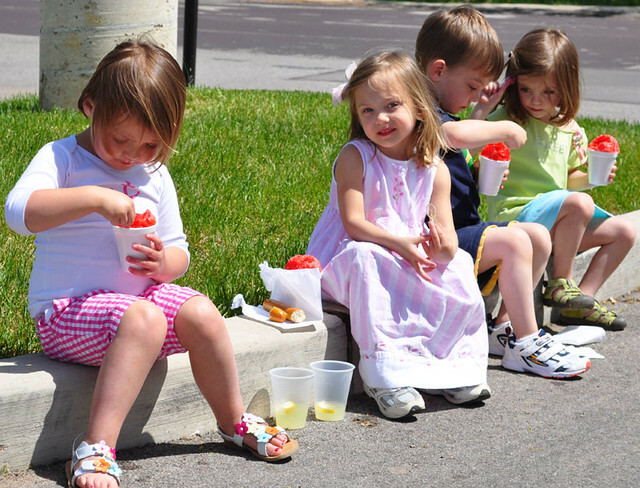 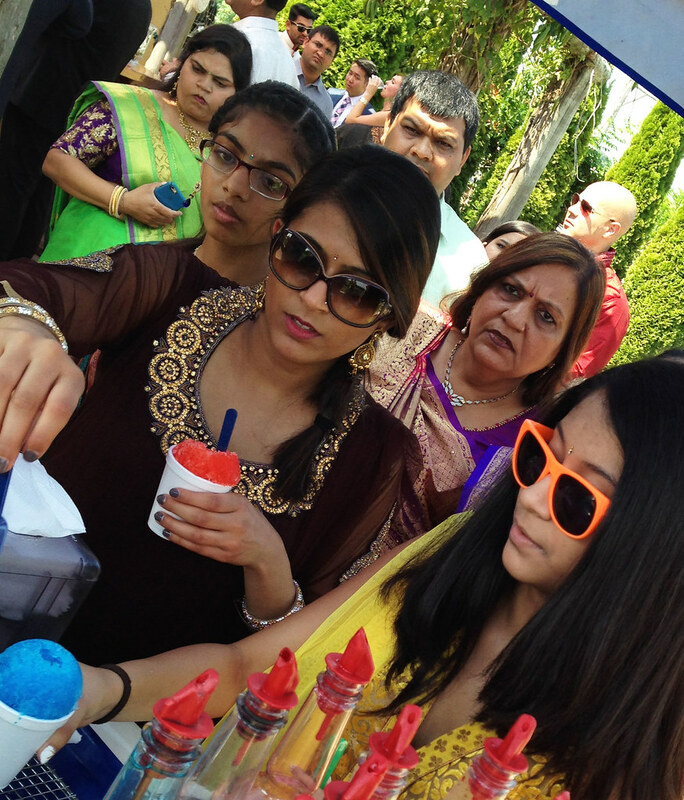 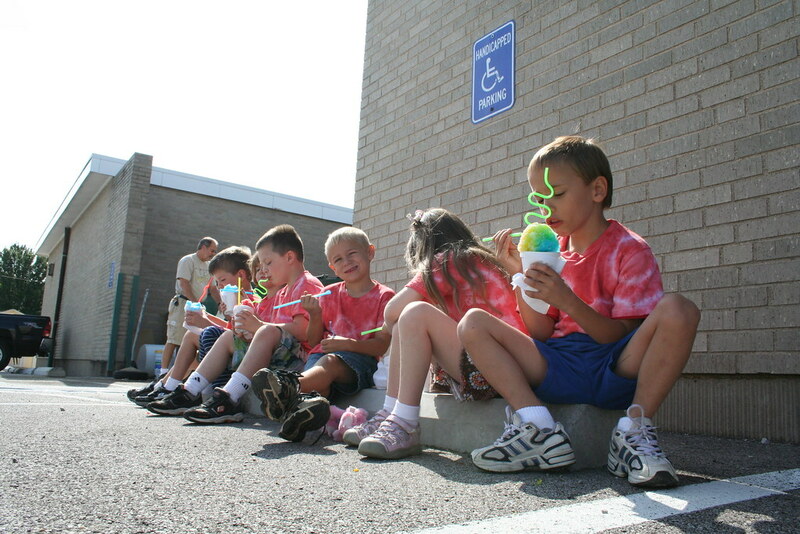 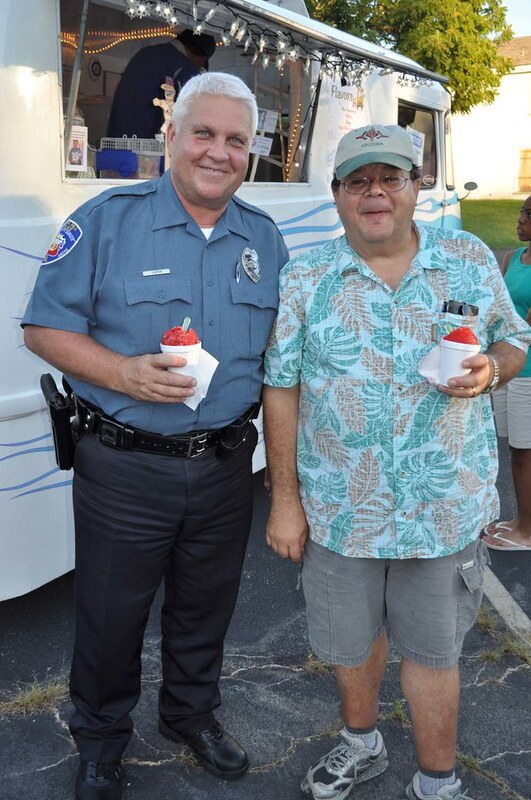 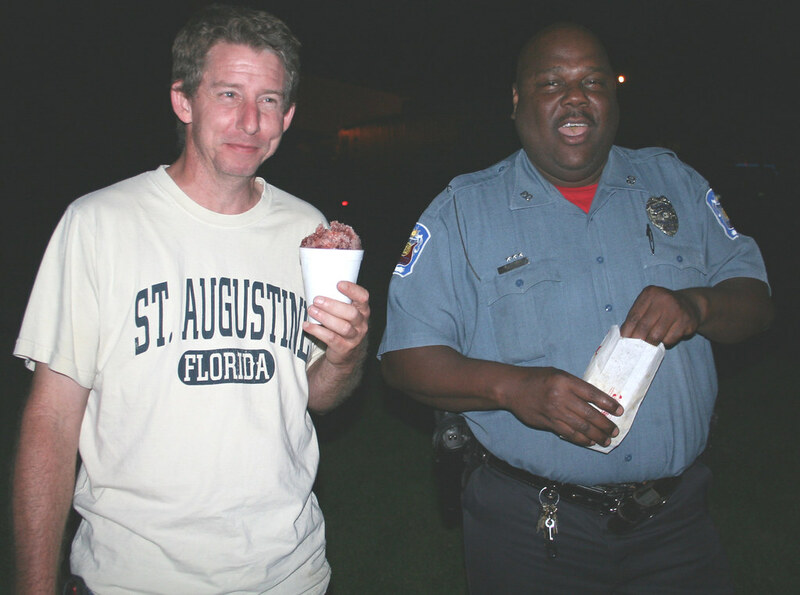 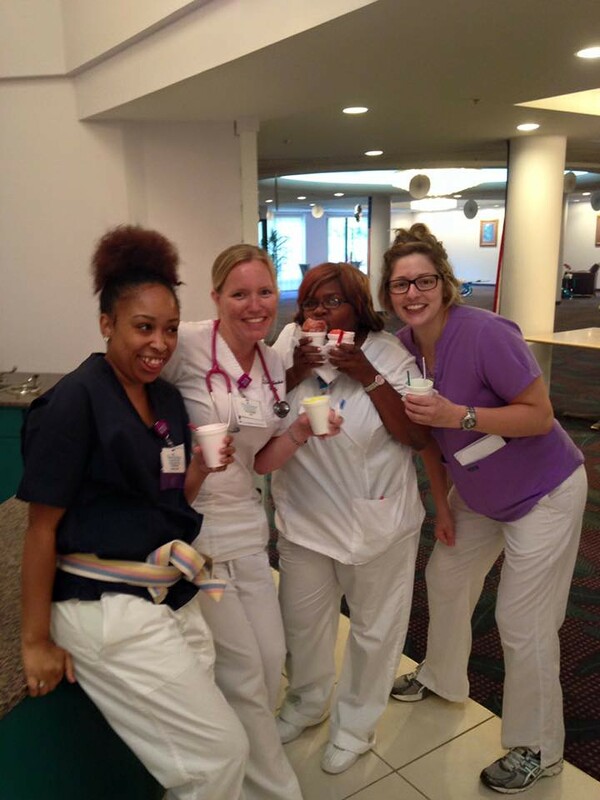 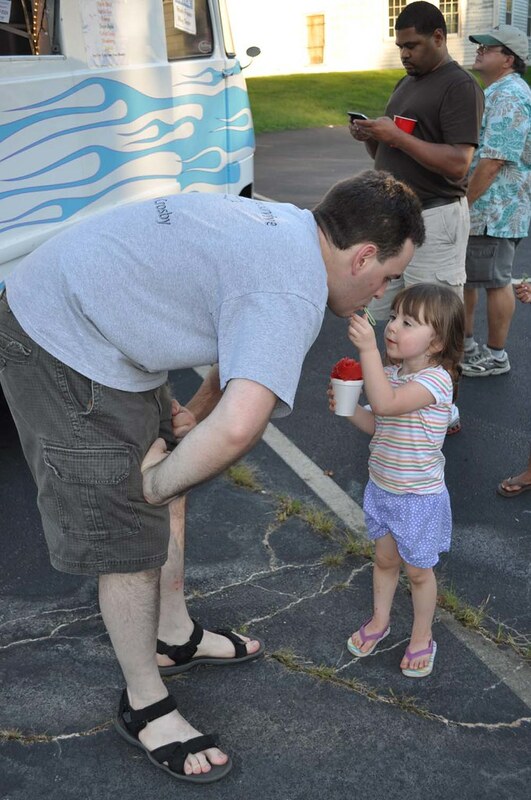 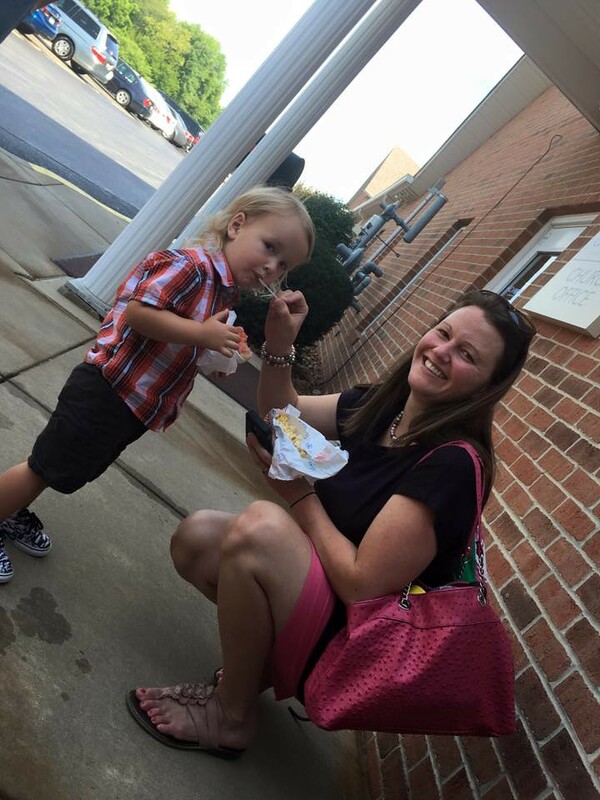 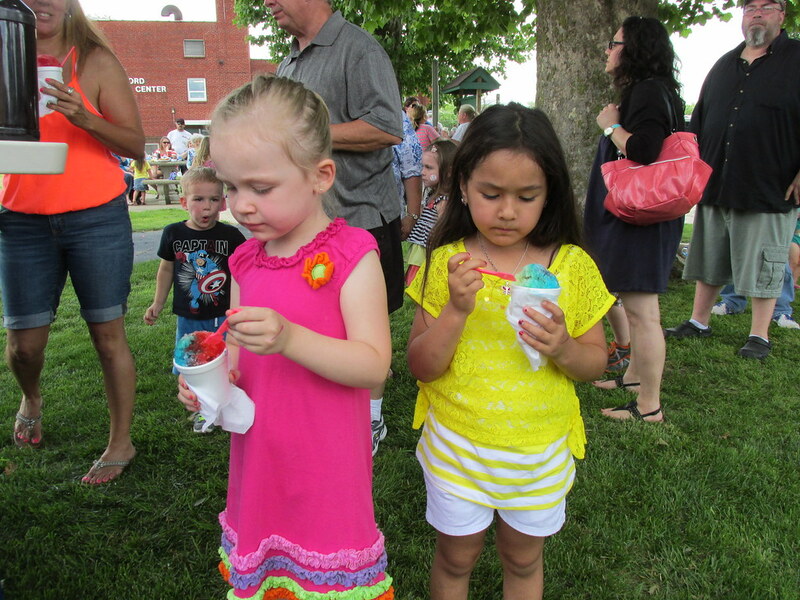 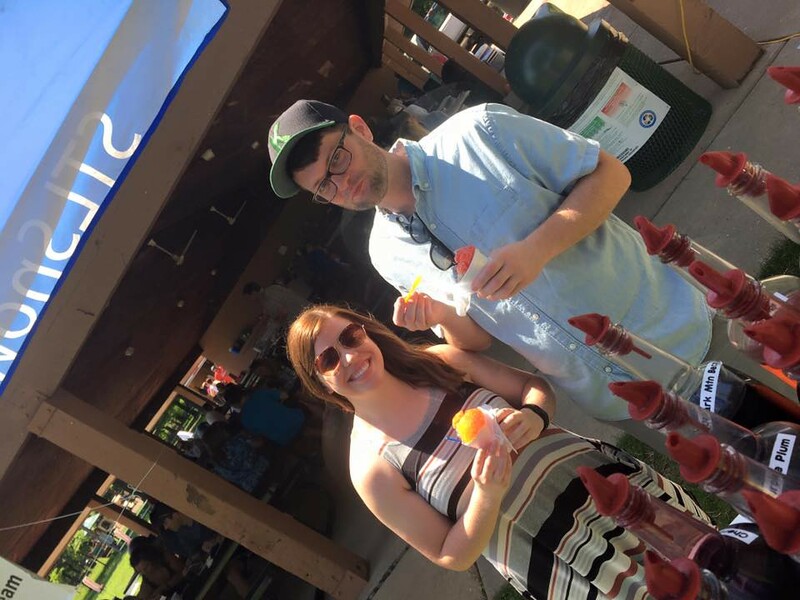 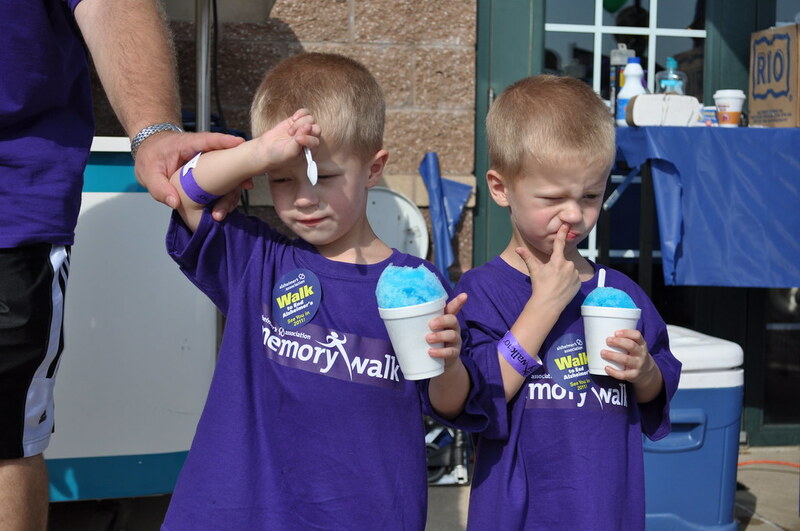 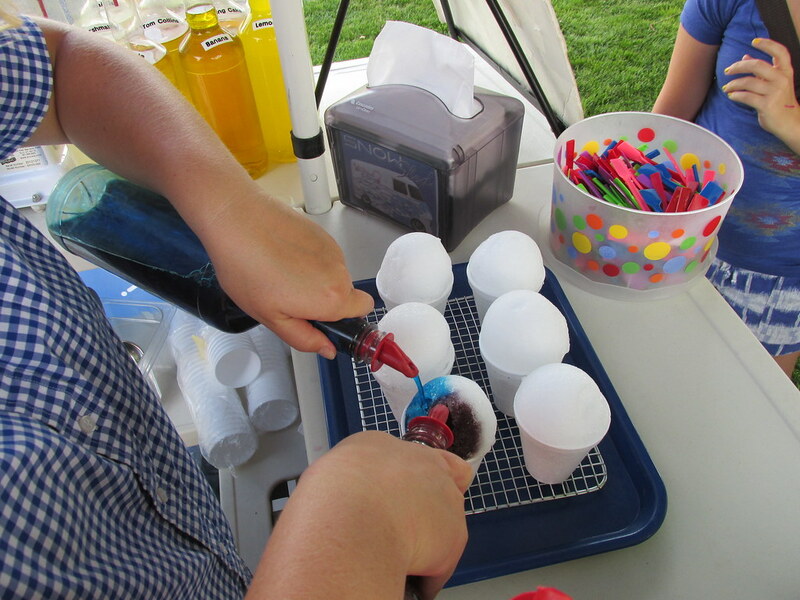 Through the years we’ve expanded and can bring so much more than Snow Cones to an event, Snow Cones are still our most popular sweet treat! 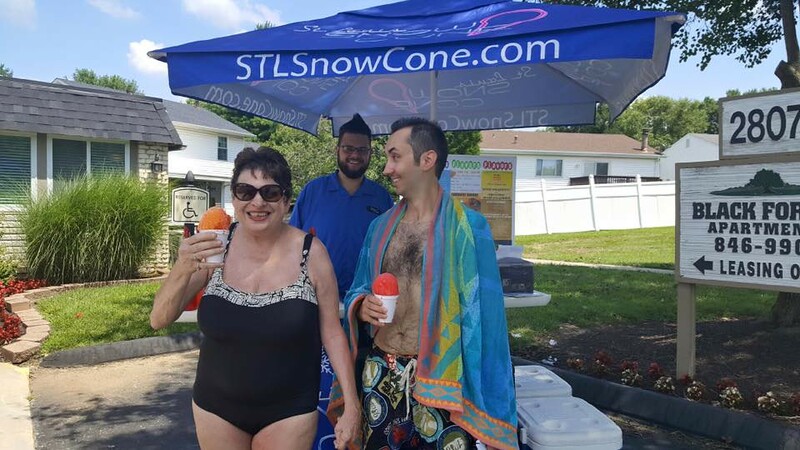 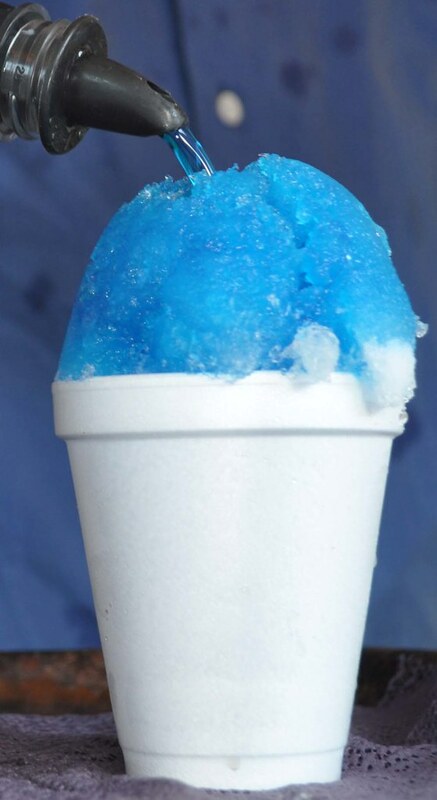 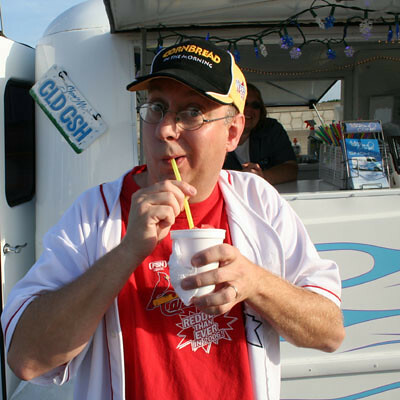 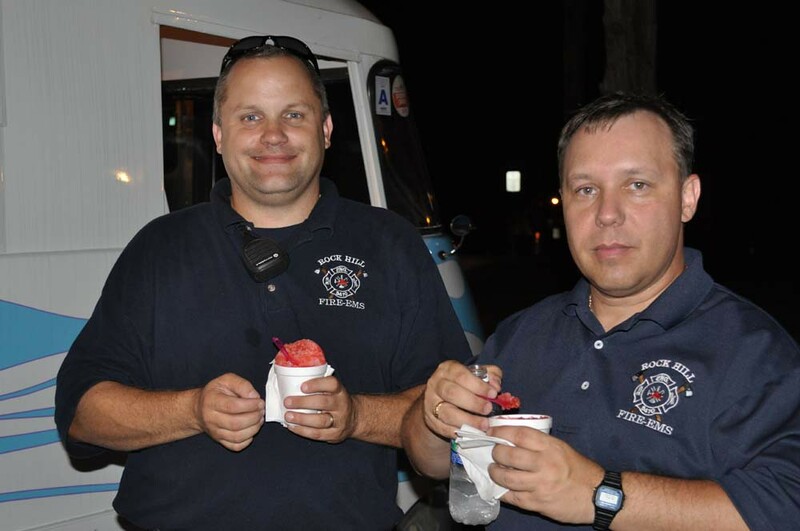 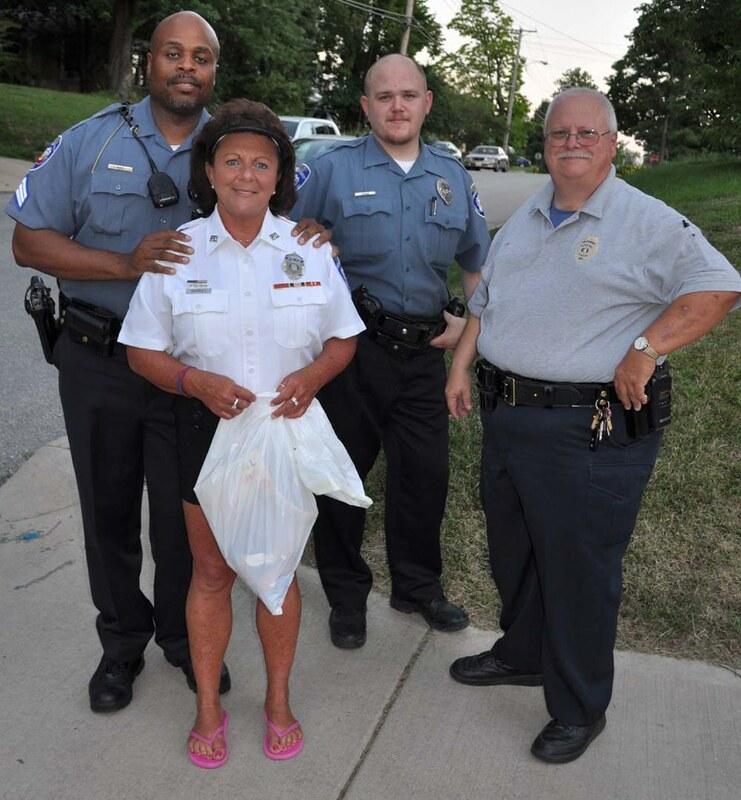 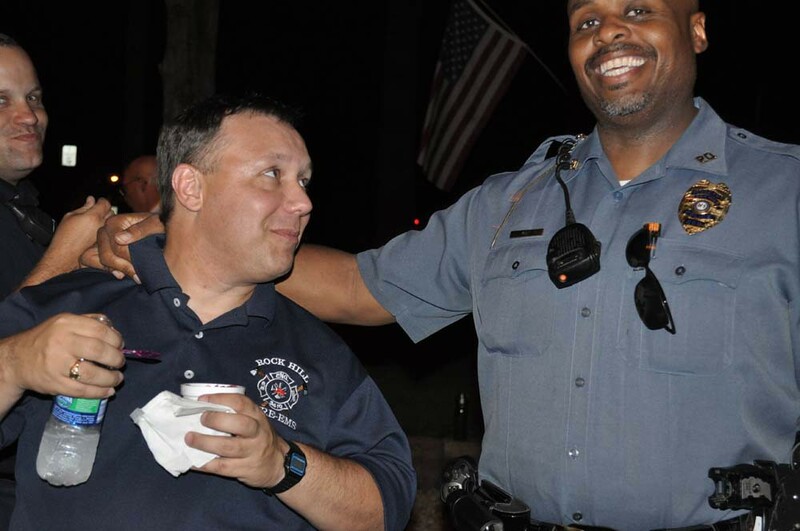 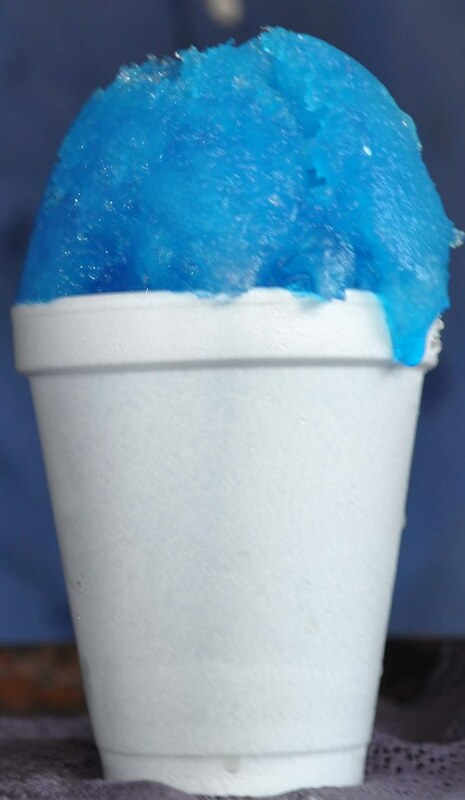 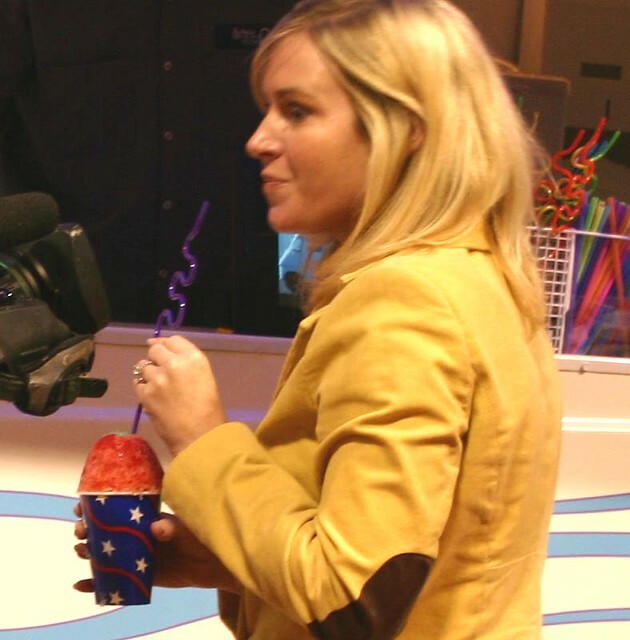 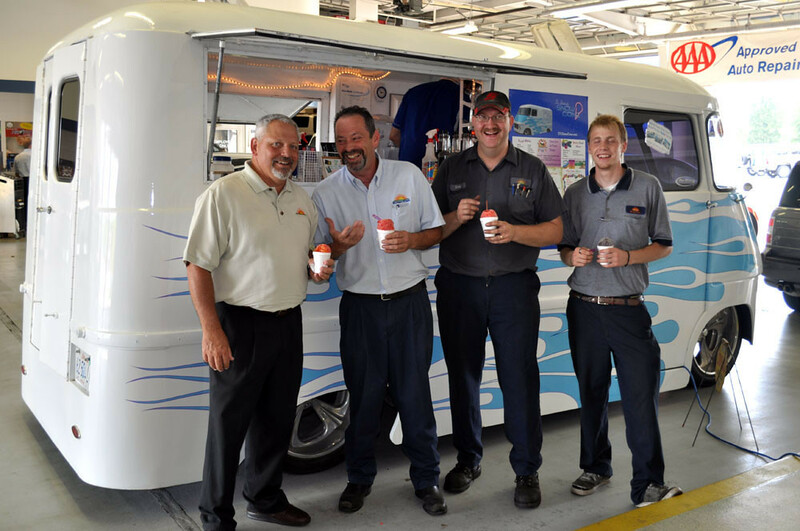 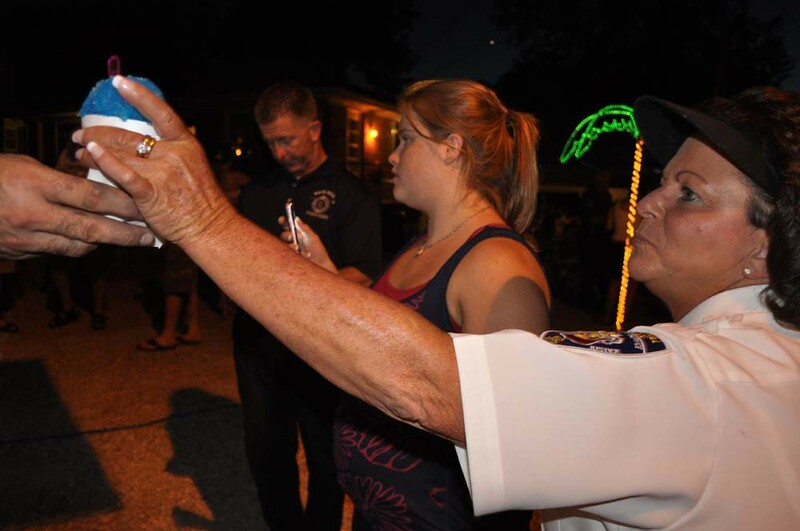 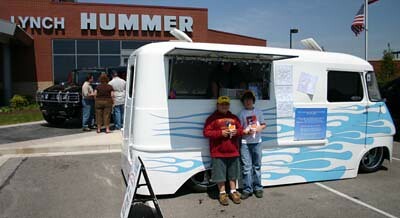 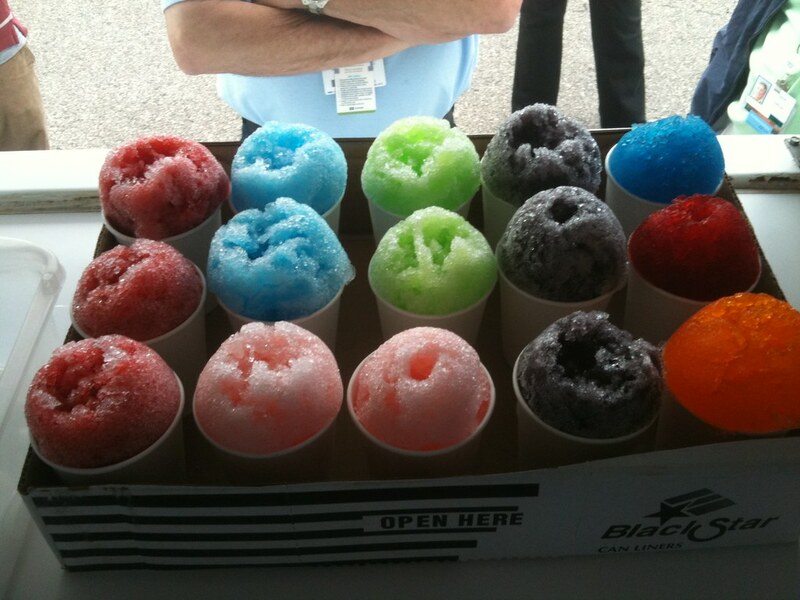 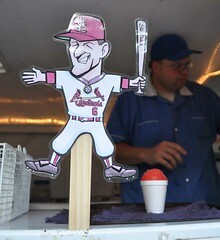 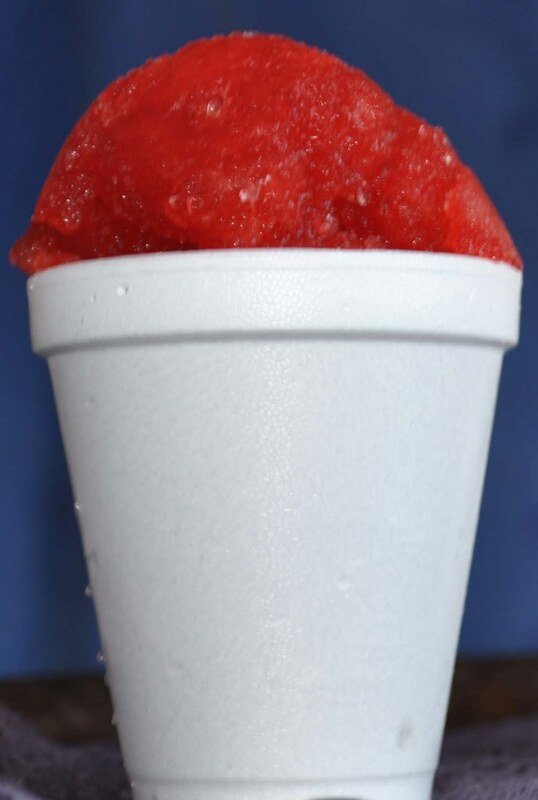 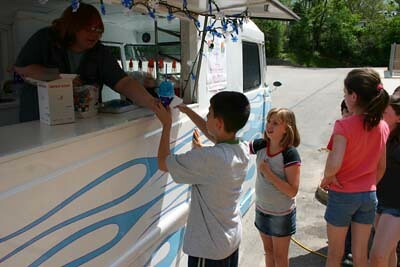 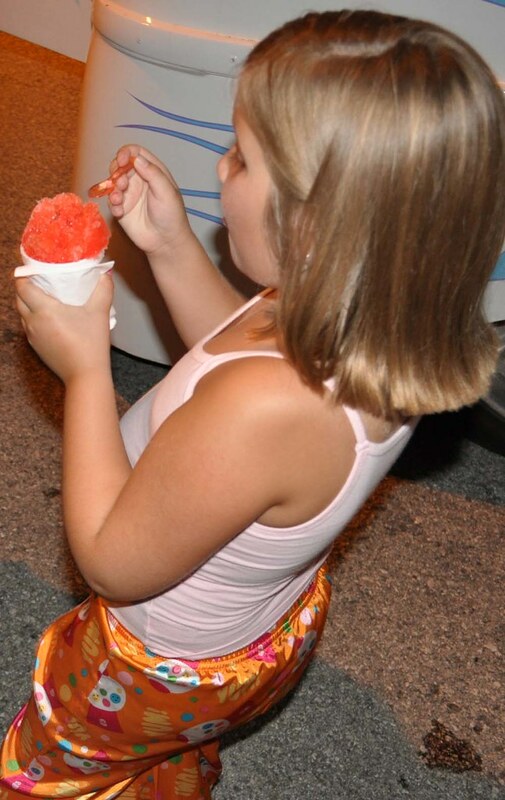 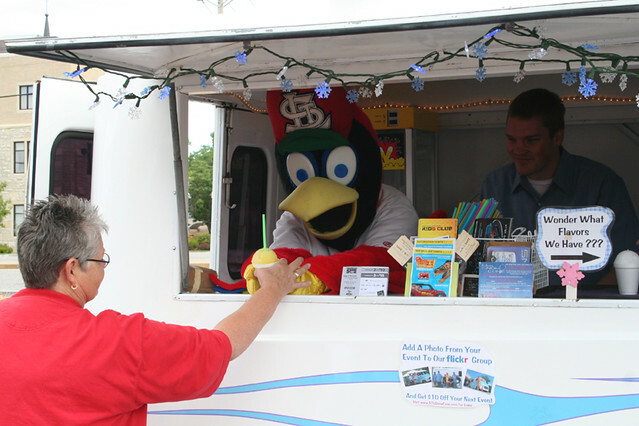 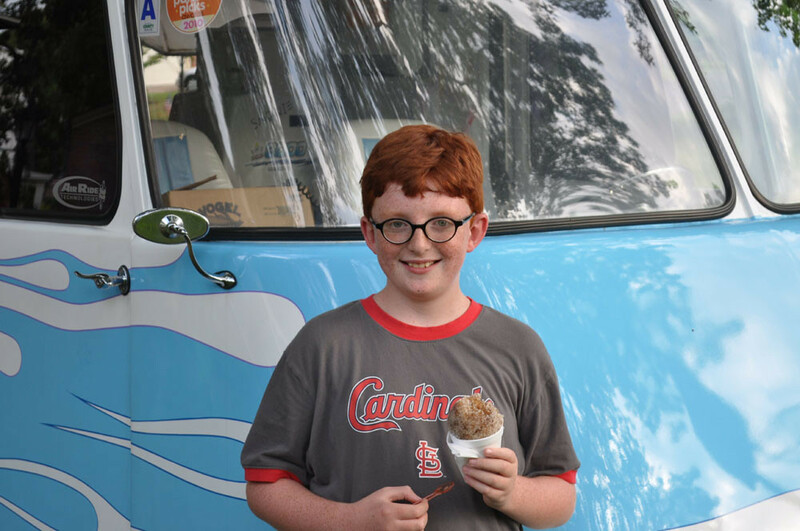 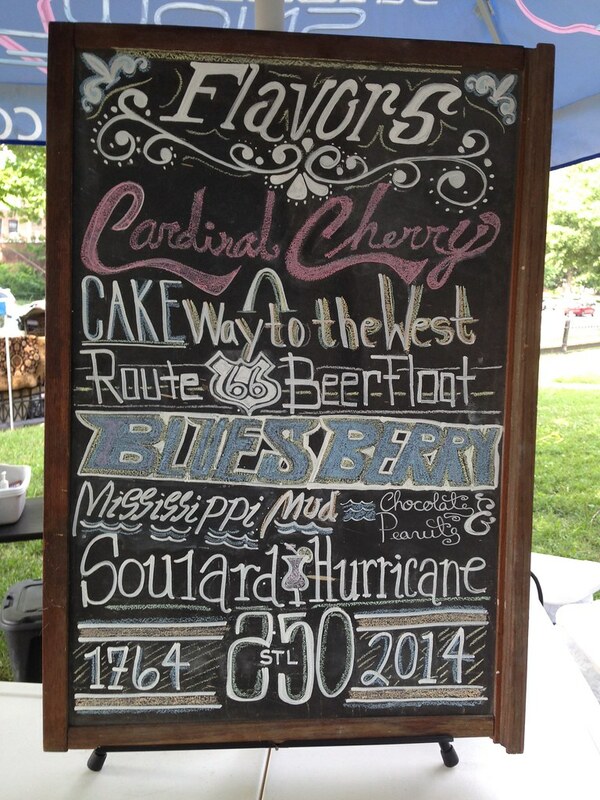 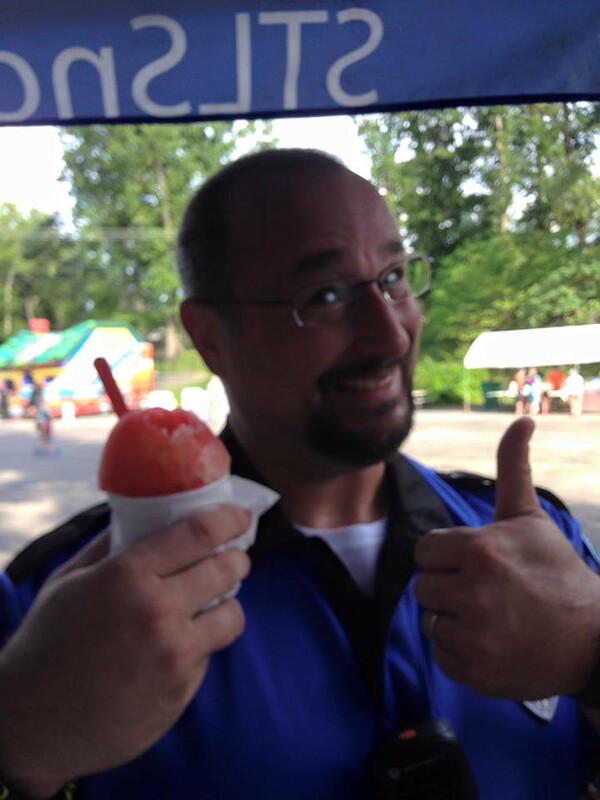 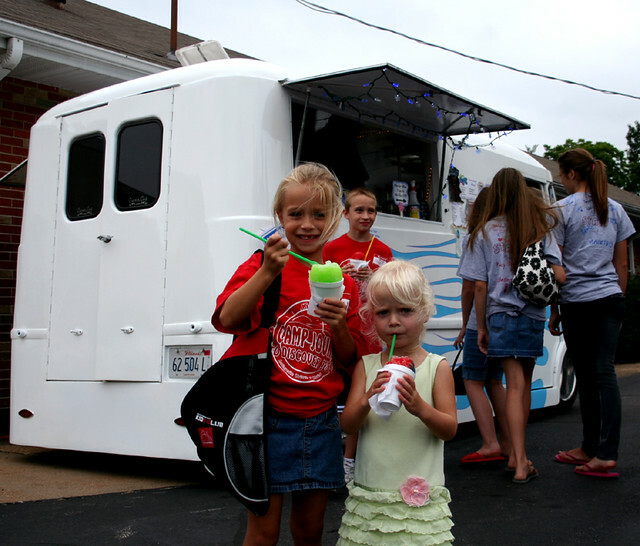 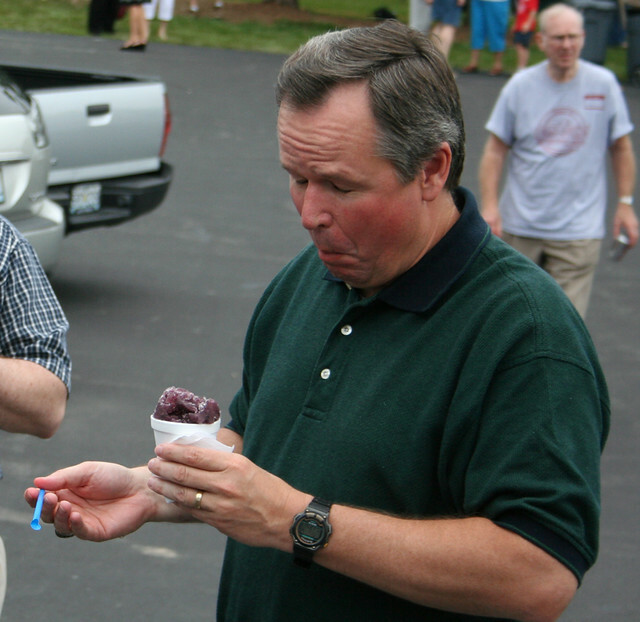 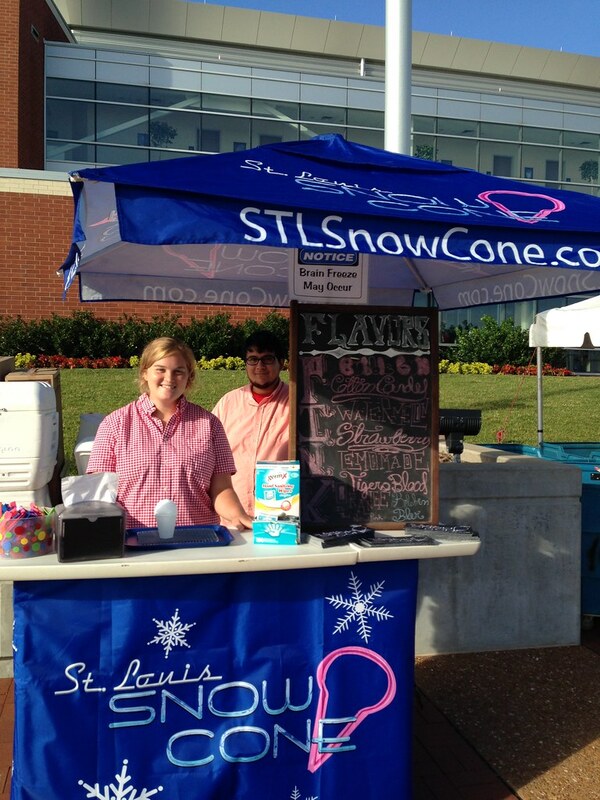 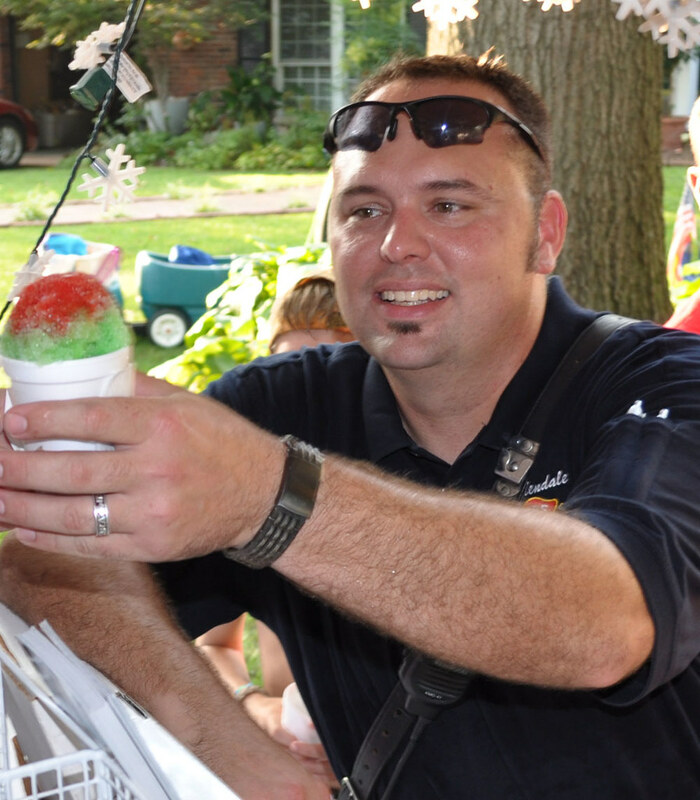 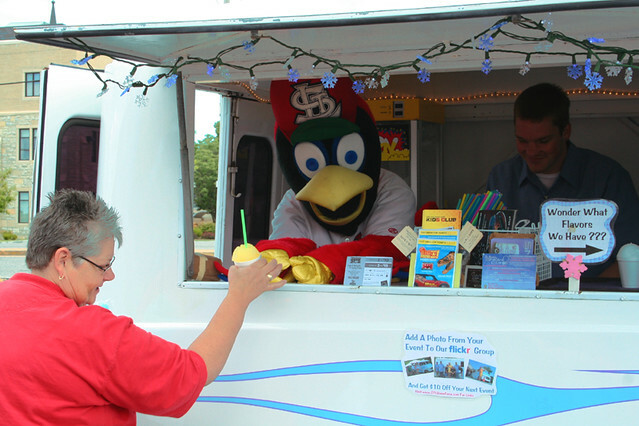 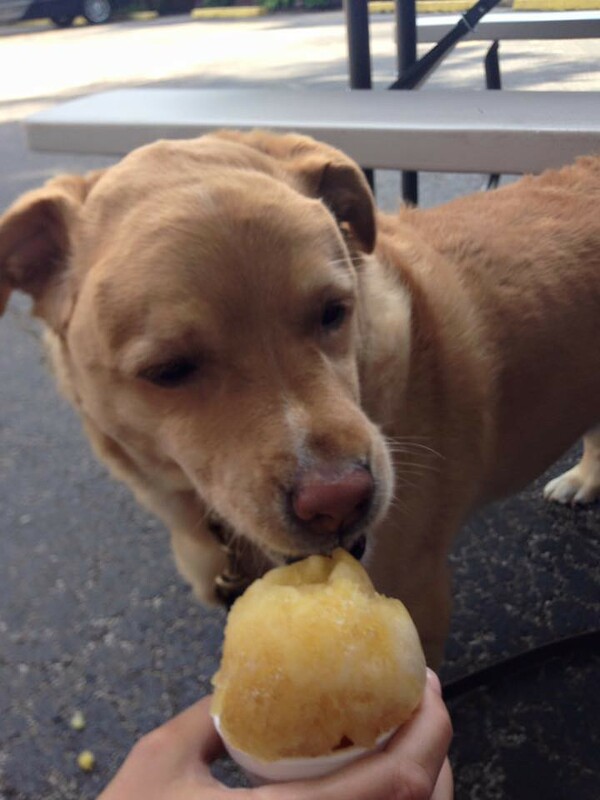 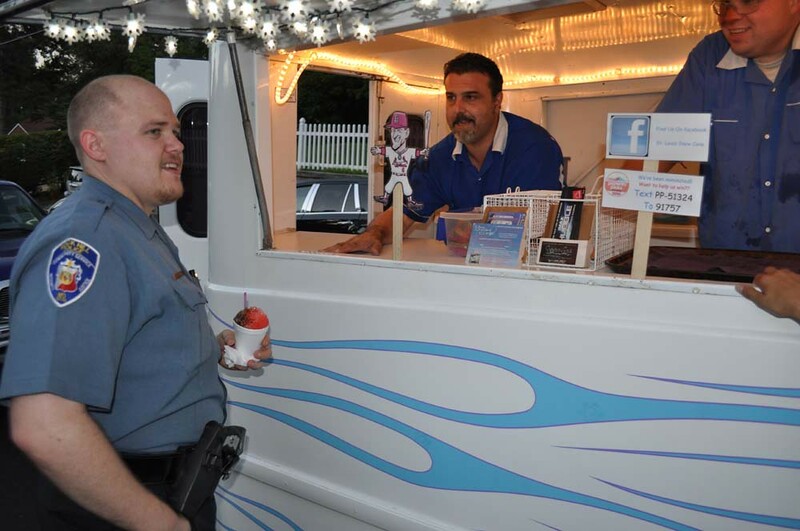 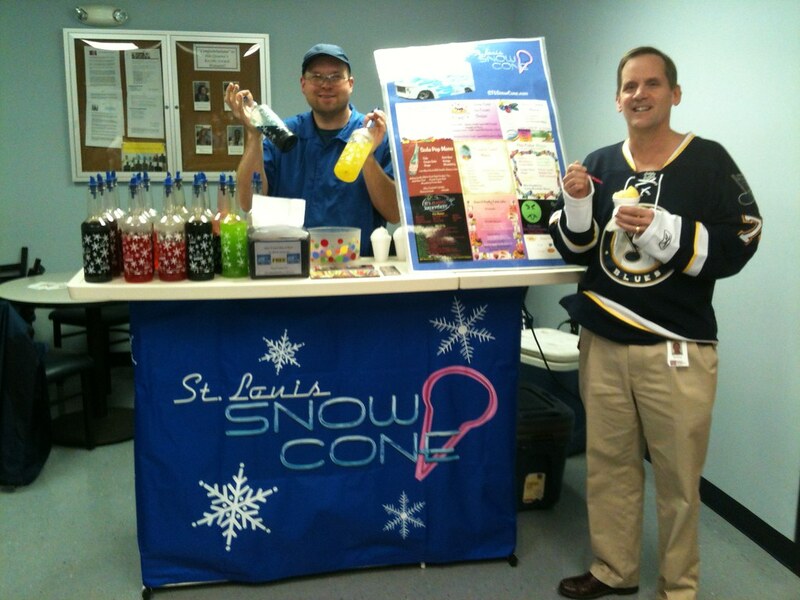 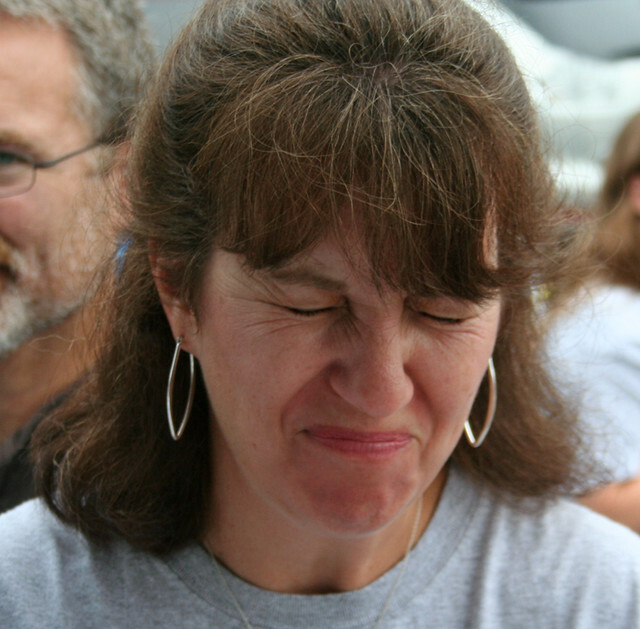 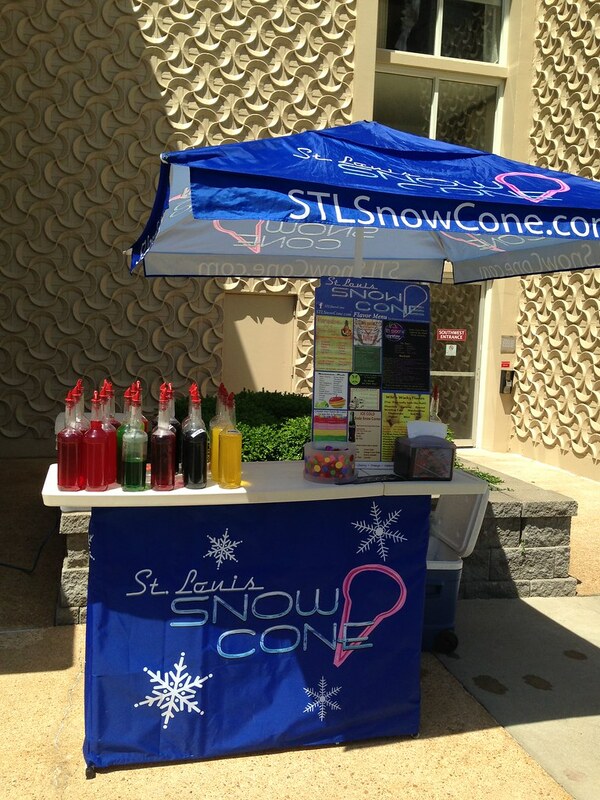 When you get a St. louis Snow Cone, you’re not getting a leaking paper cone with chunky, unfavorful ice…NO WAY! 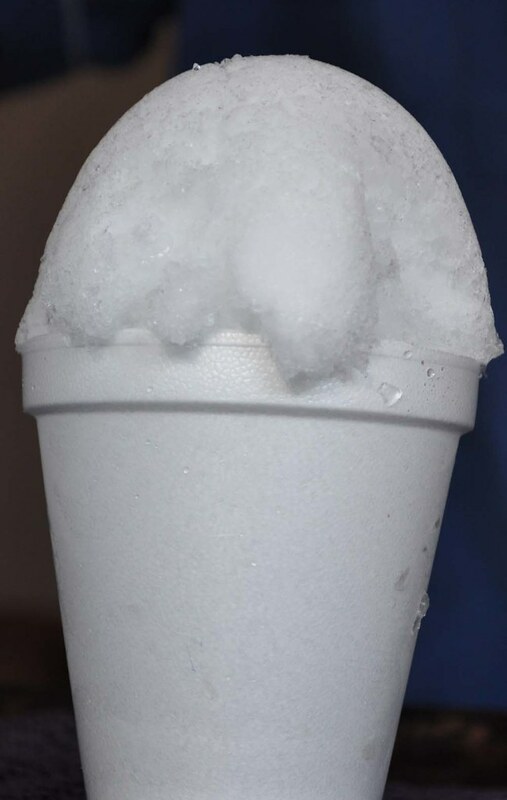 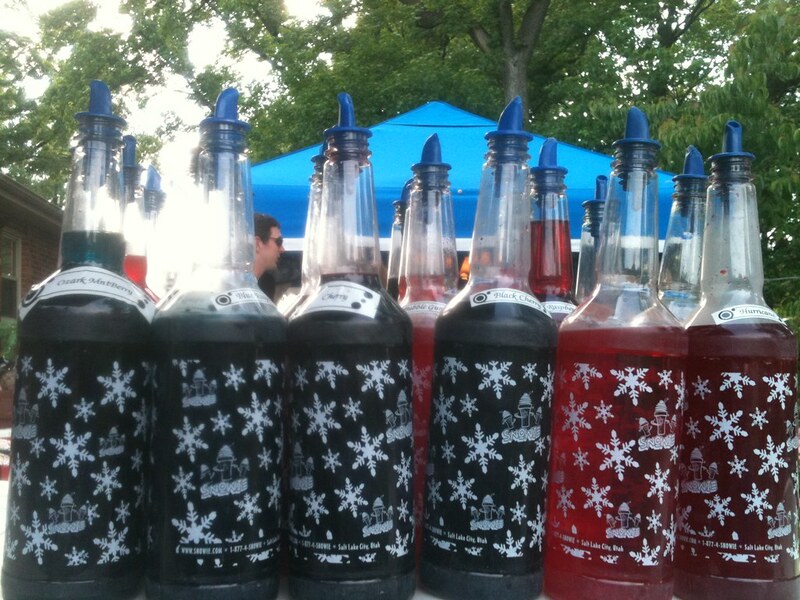 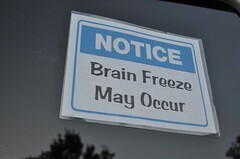 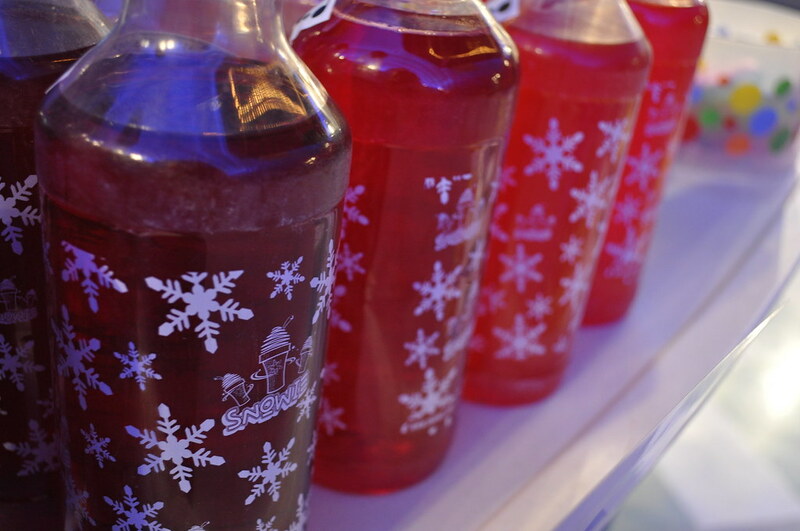 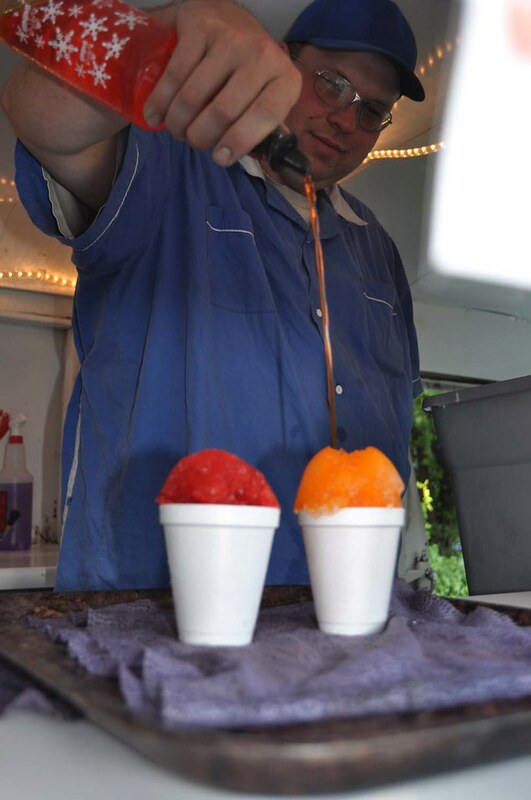 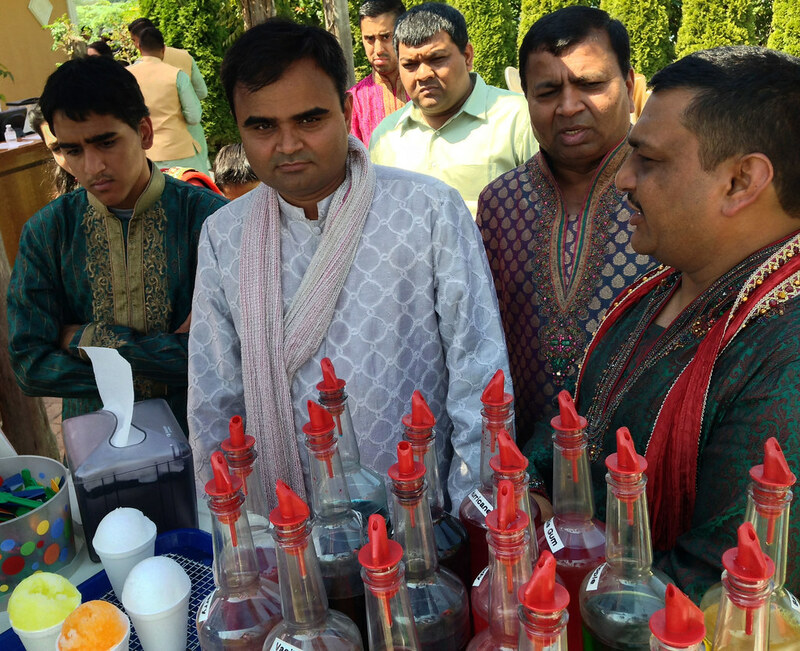 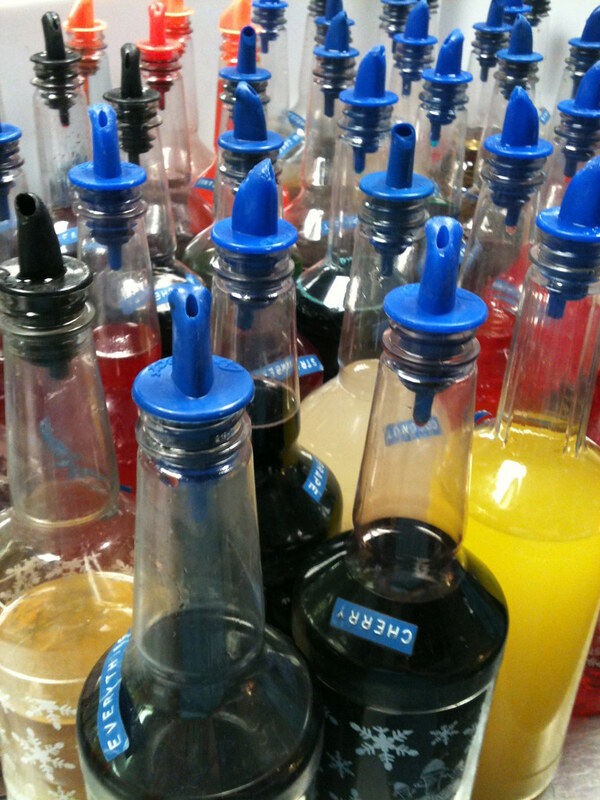 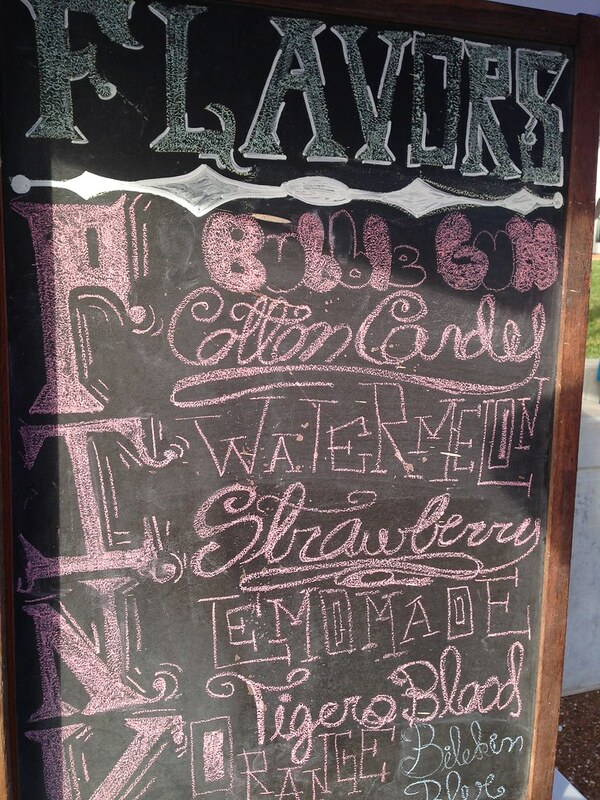 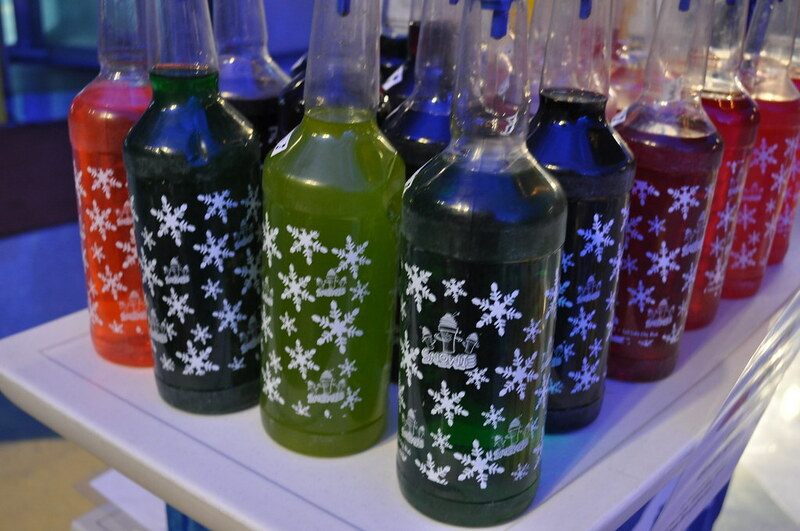 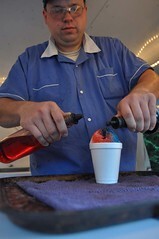 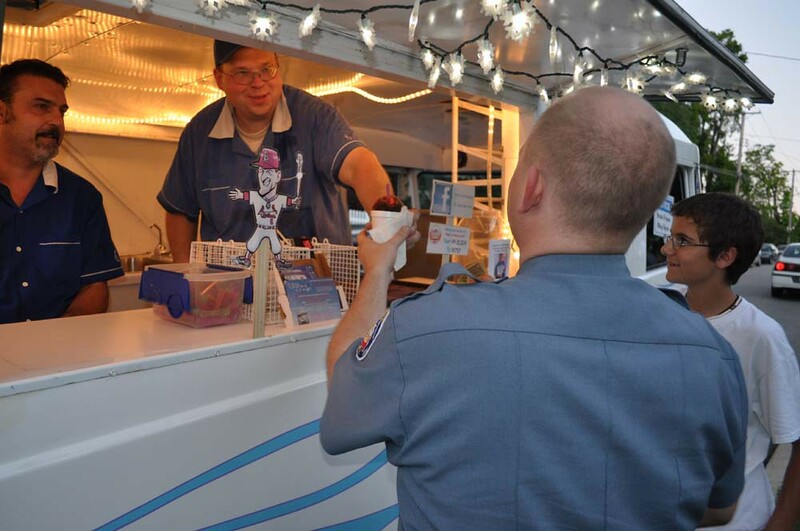 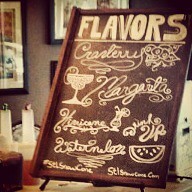 You’re getting the best Snow Cone in town, made of finely shaved ice and locally made syrups. 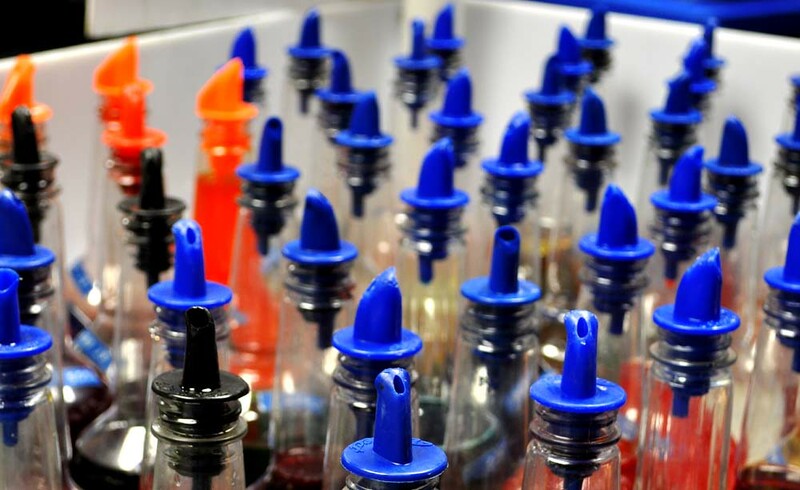 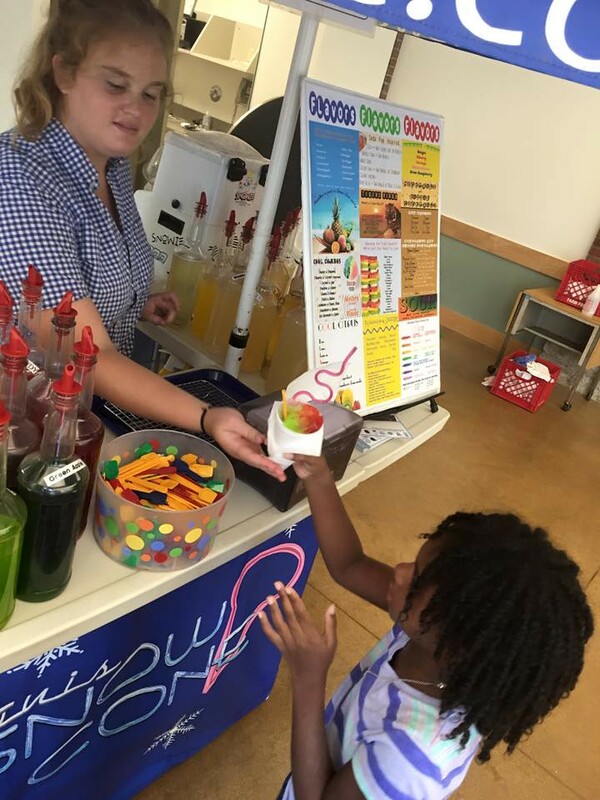 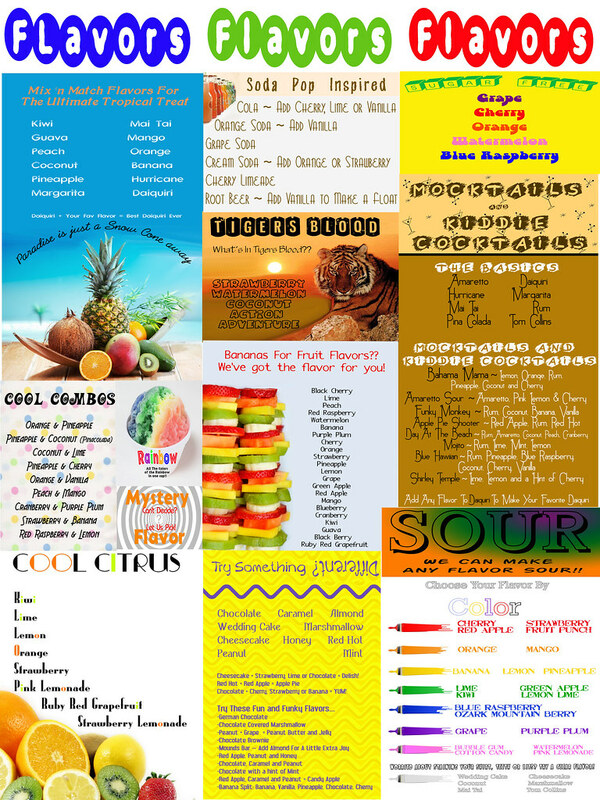 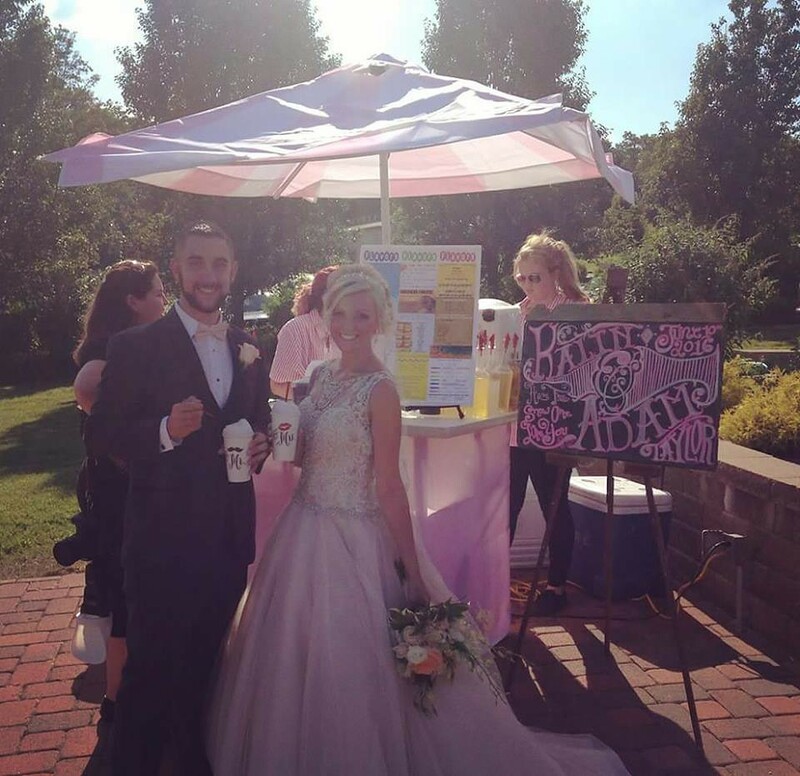 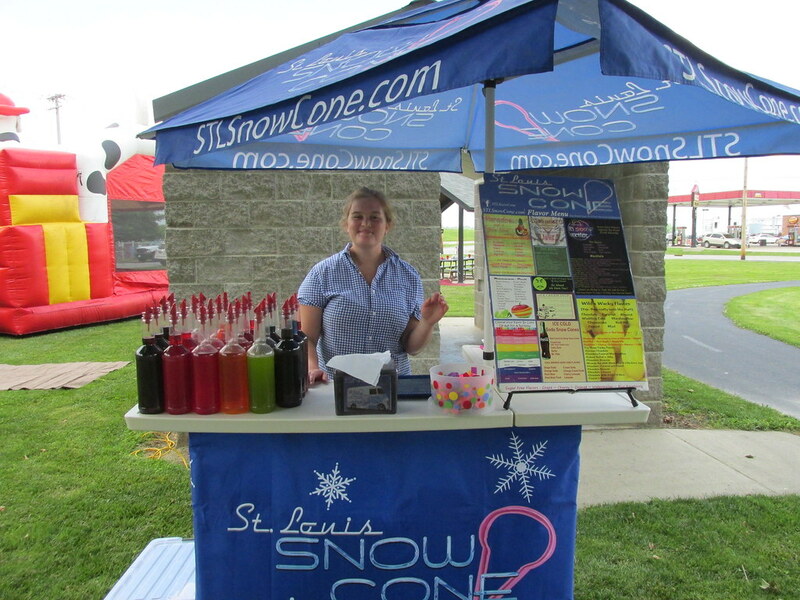 Our Snow Cone is a blank canvas for you and your guests to make the Snow Cone of your dreams from our extensive flavor menu…with 53 base flavors, many St. Louis Snow Cone Original Flavors and 4 sugar free flavors…the options are just about limitless! 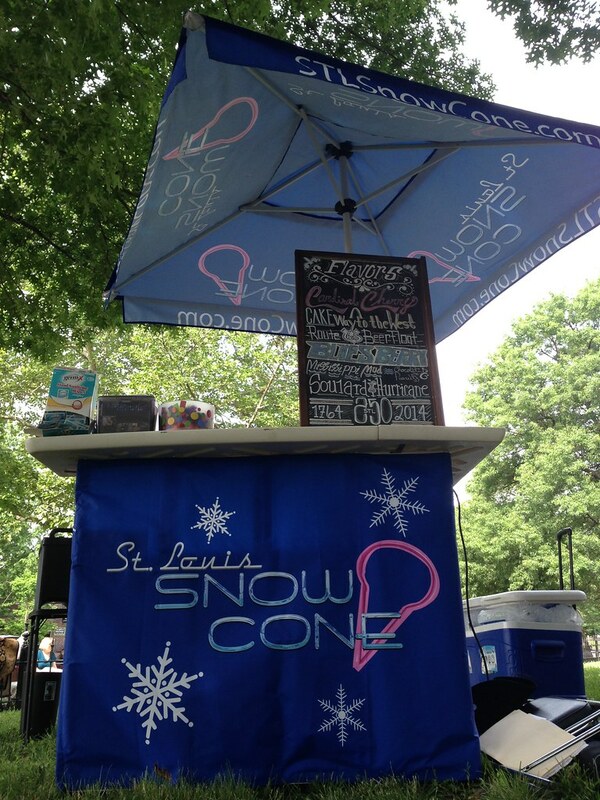 Whether your event is indoors or outdoors, spring, summer, fall or winter, adults, kids or pooches (They love the Bone Cone! 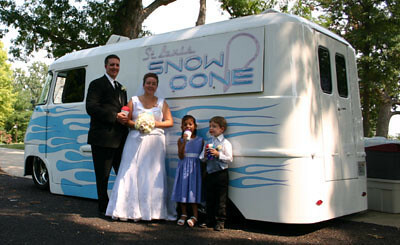 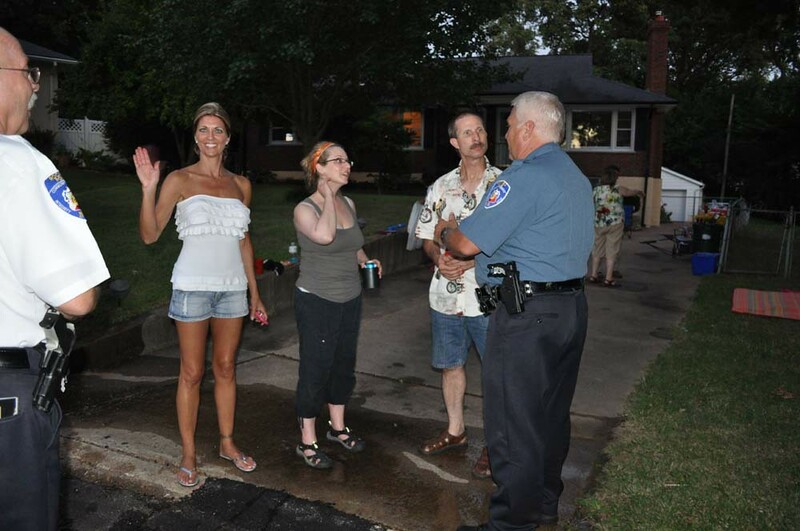 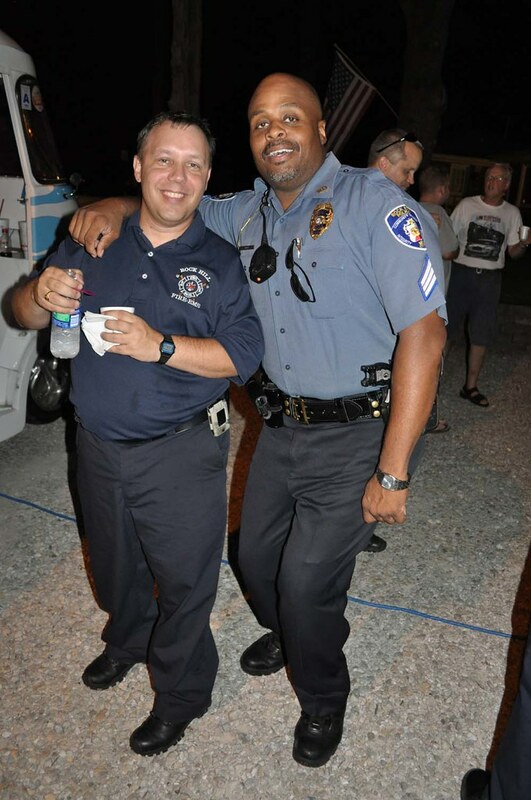 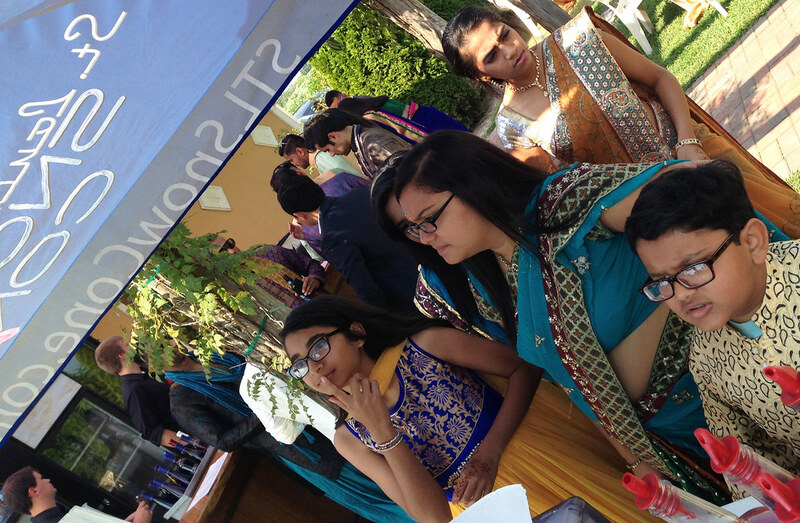 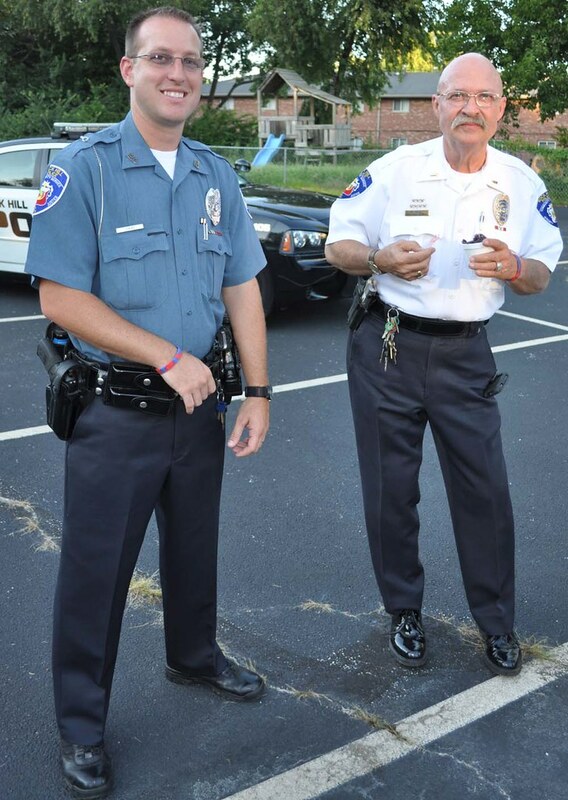 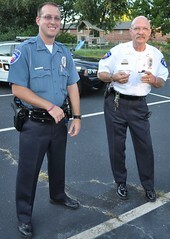 ), private, public or corporate event…St. 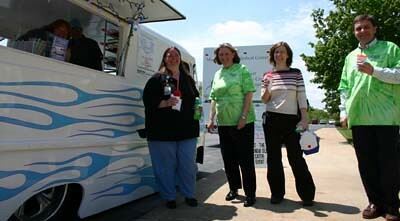 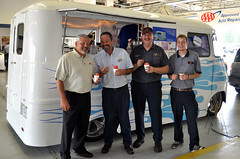 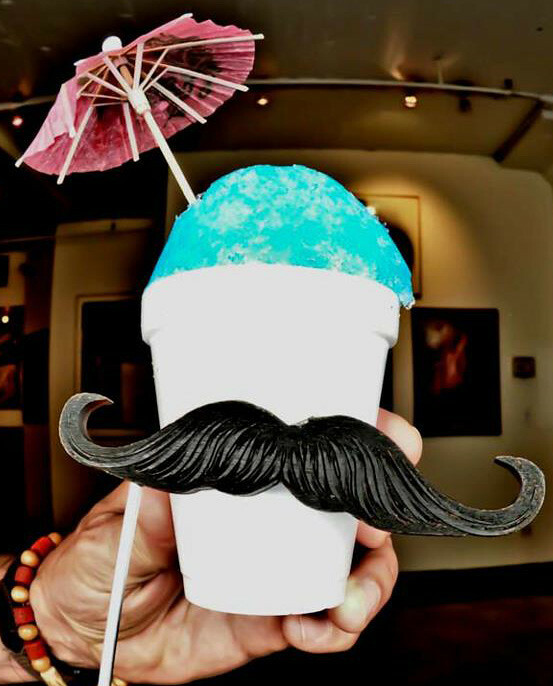 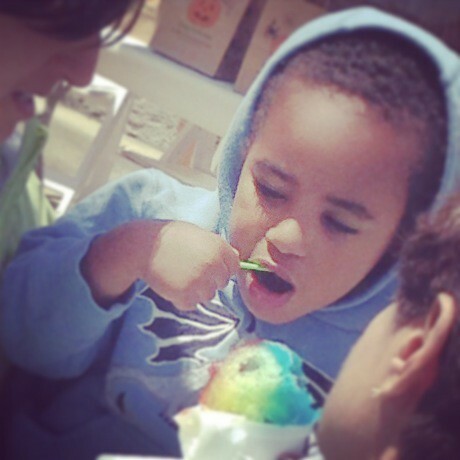 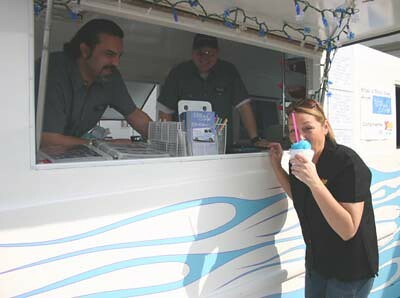 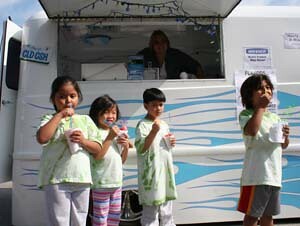 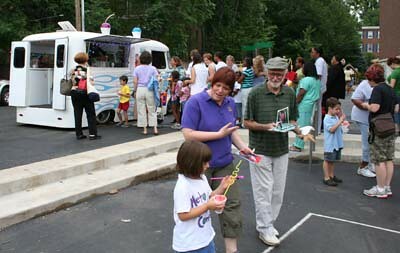 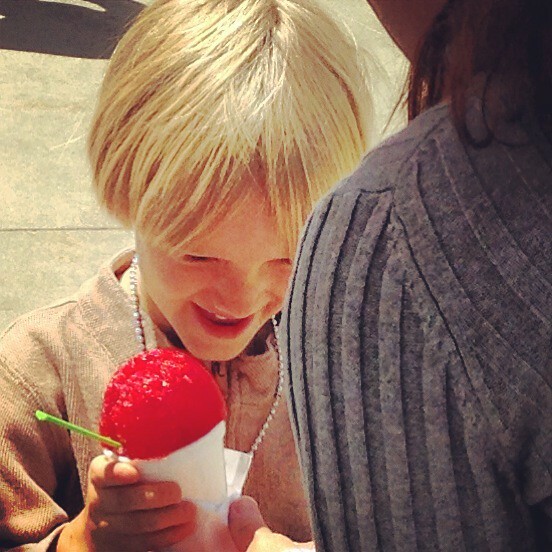 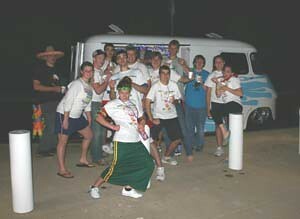 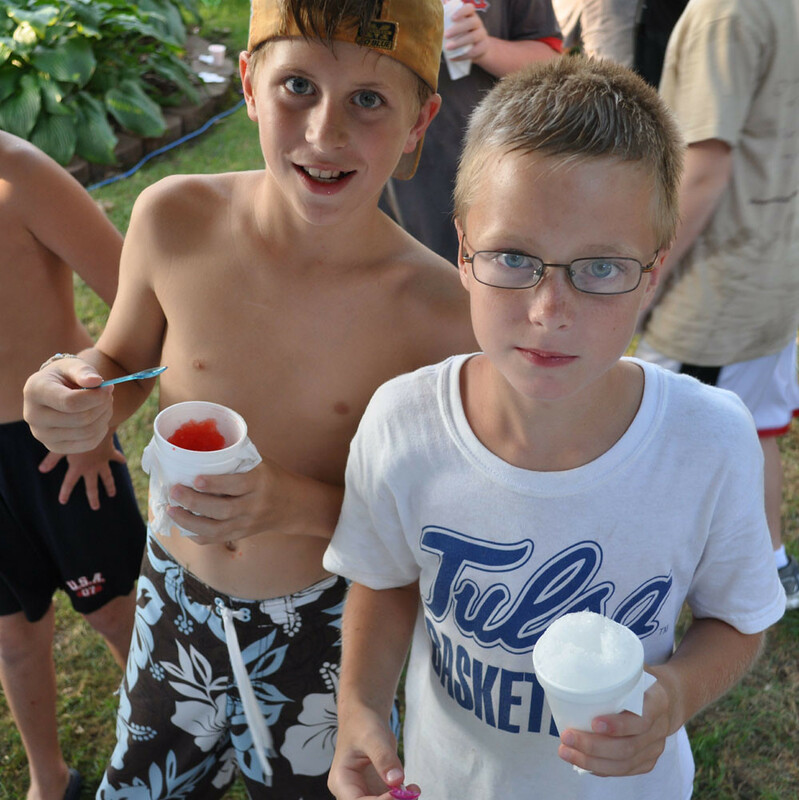 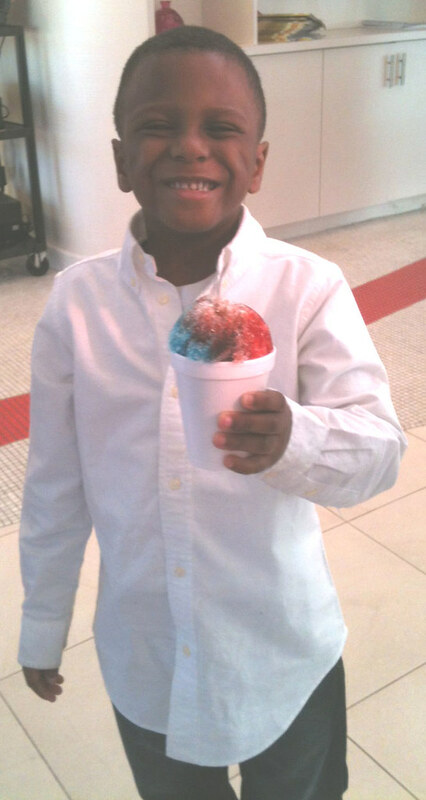 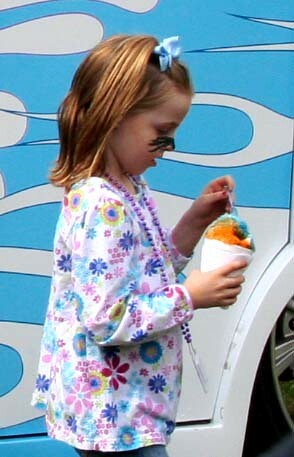 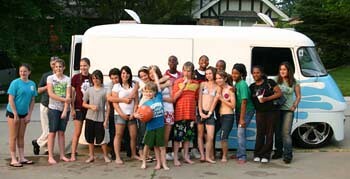 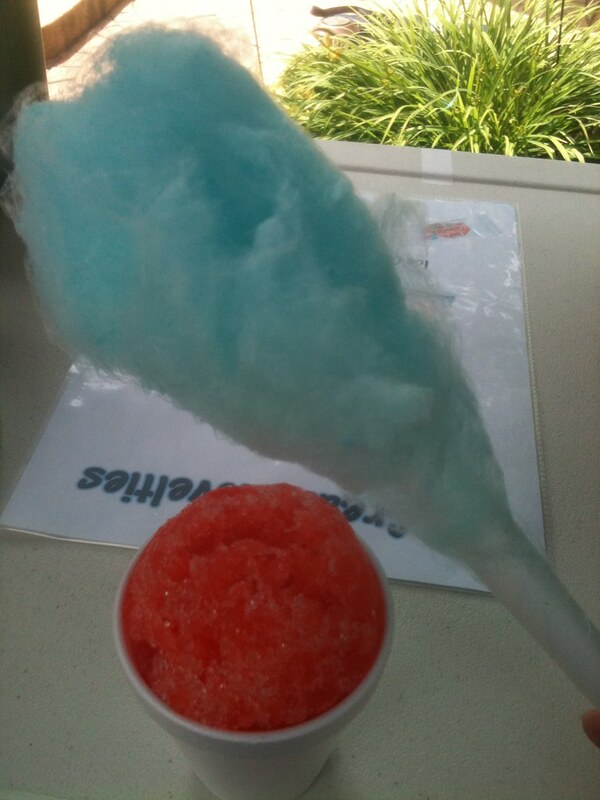 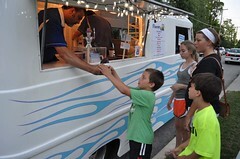 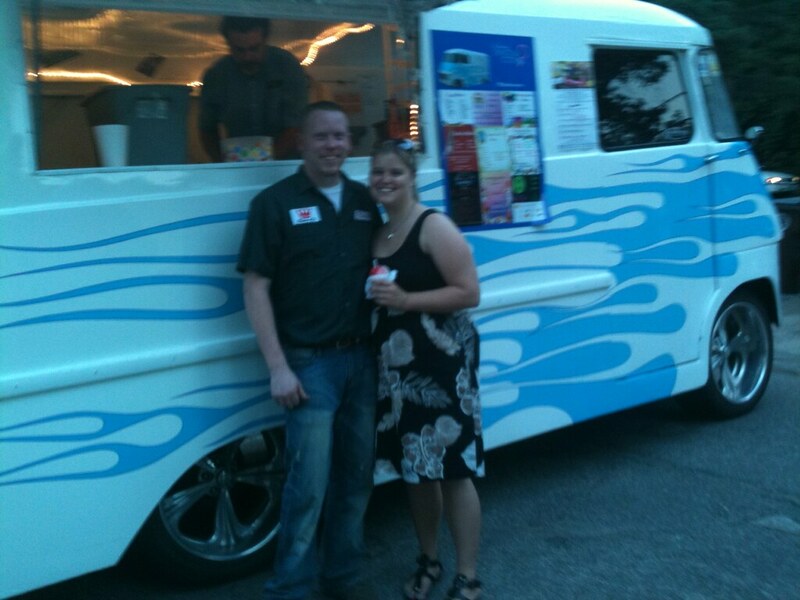 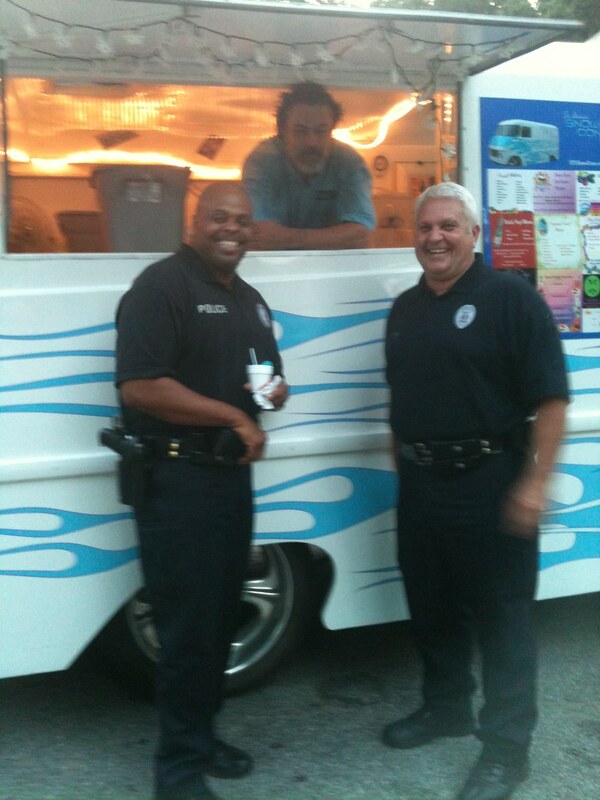 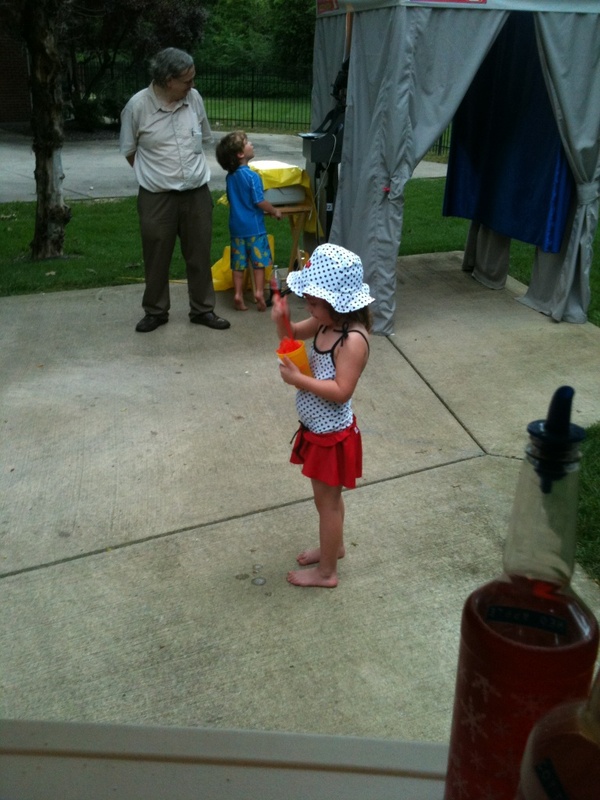 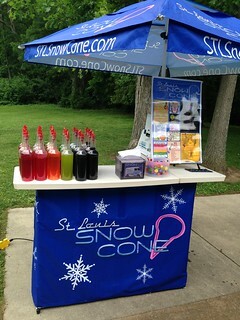 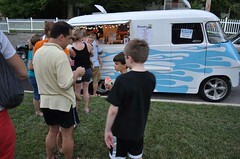 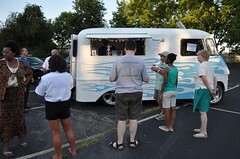 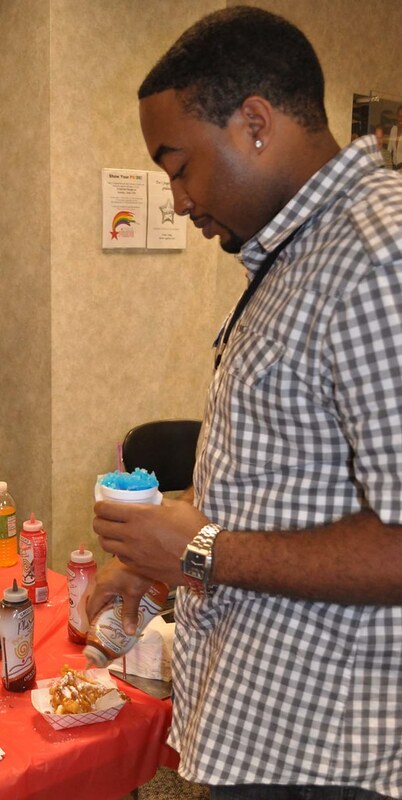 Louis Snow Cone make any event COOLER! 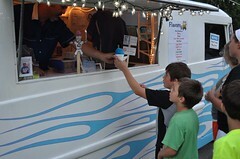 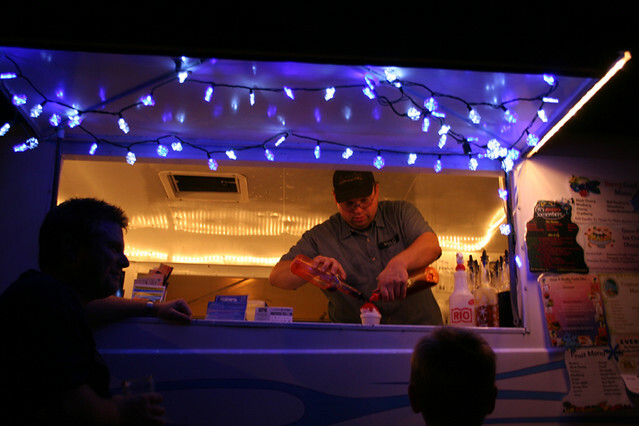 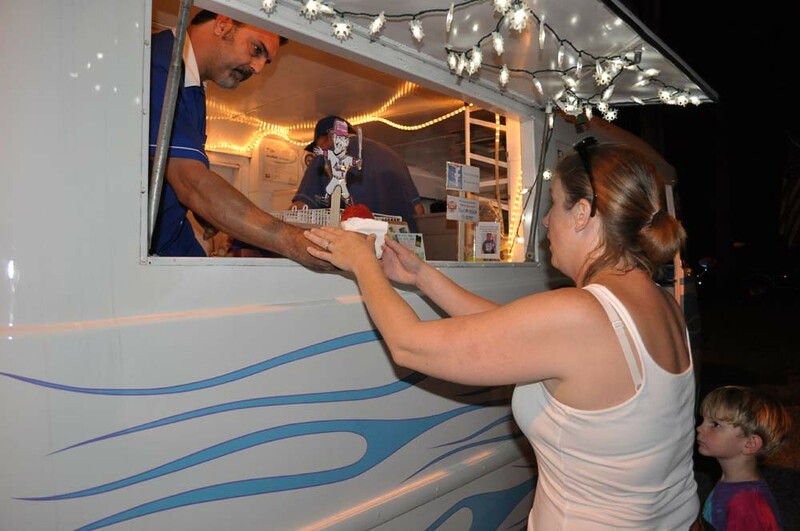 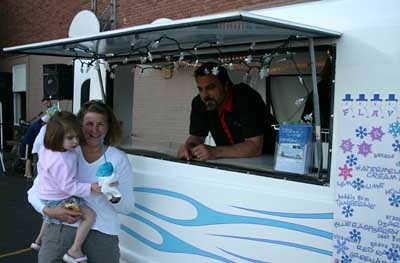 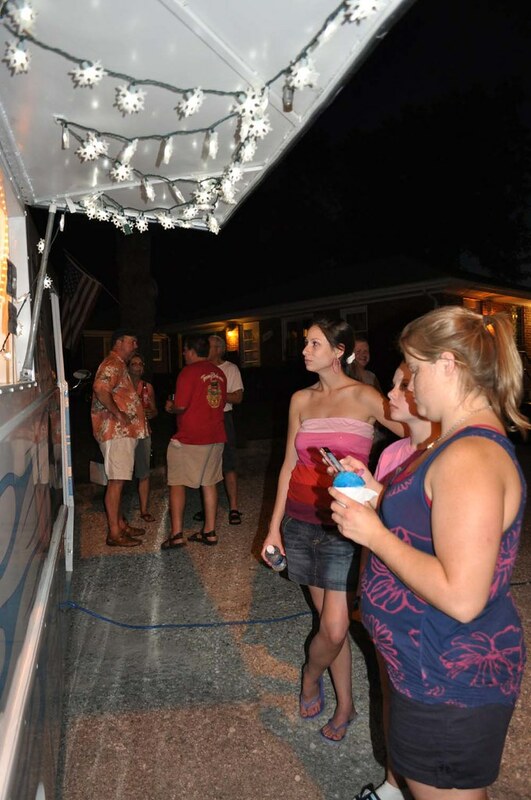 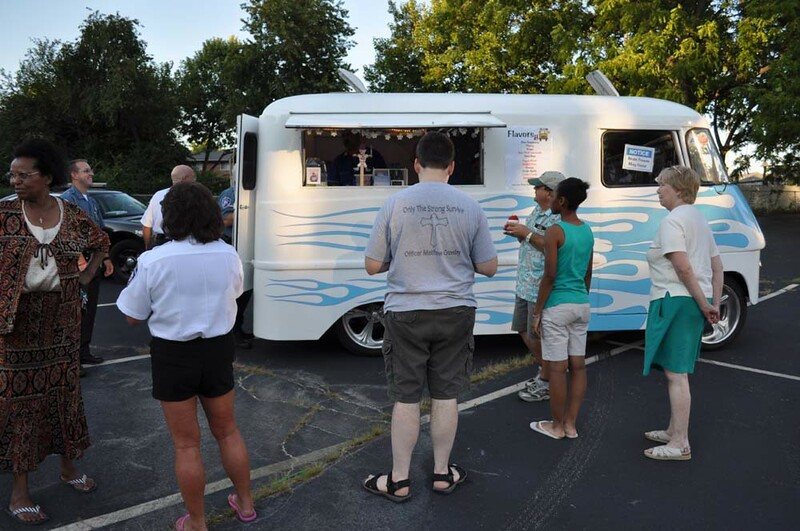 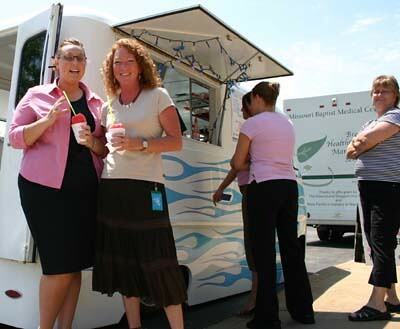 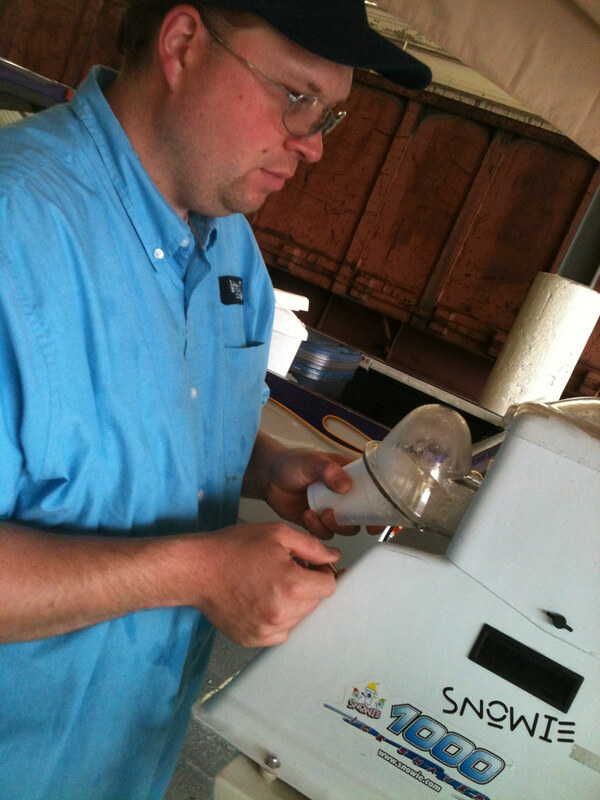 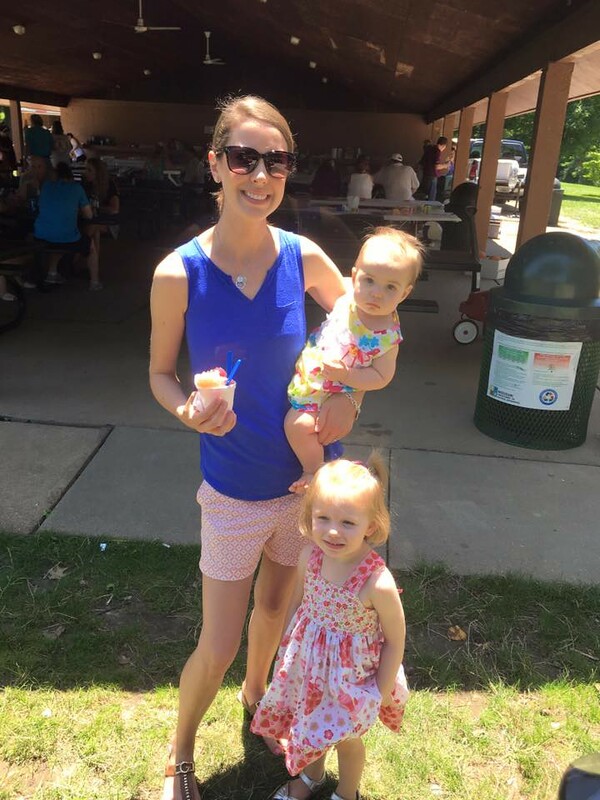 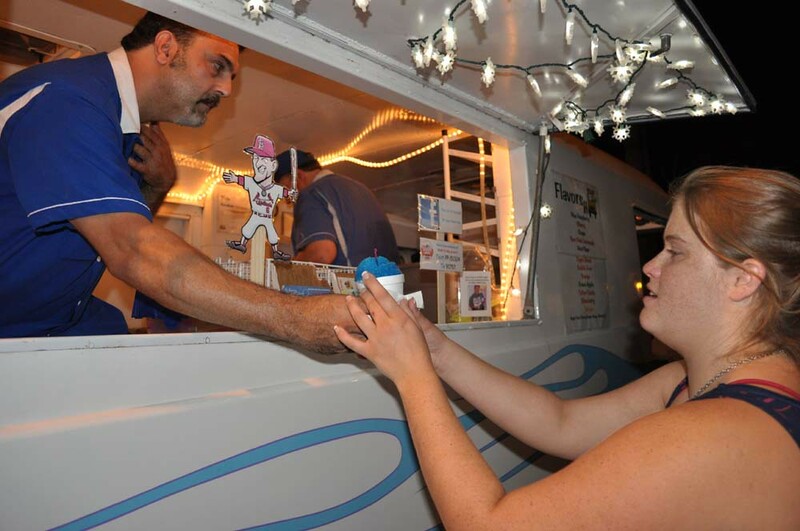 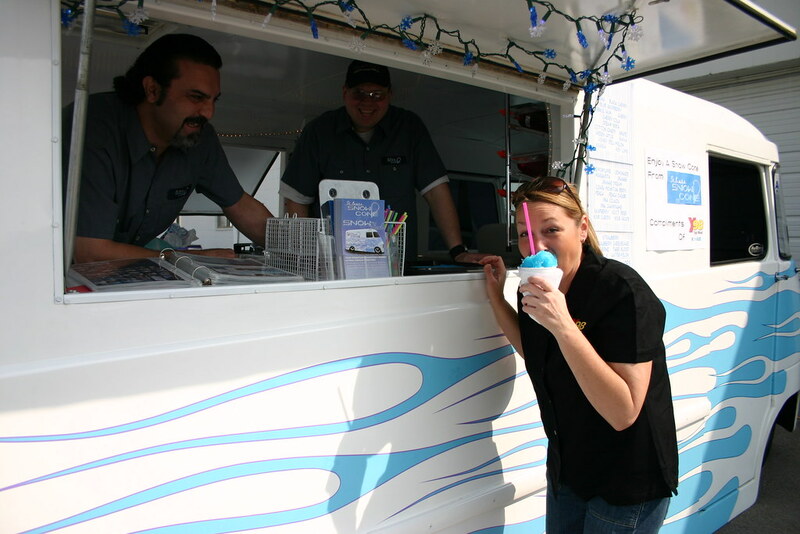 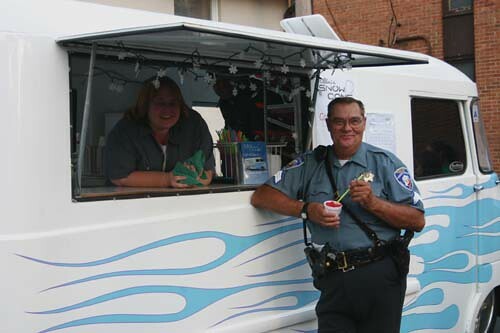 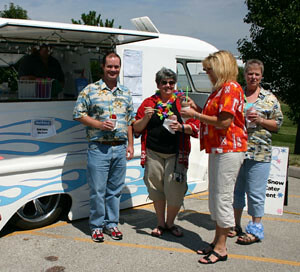 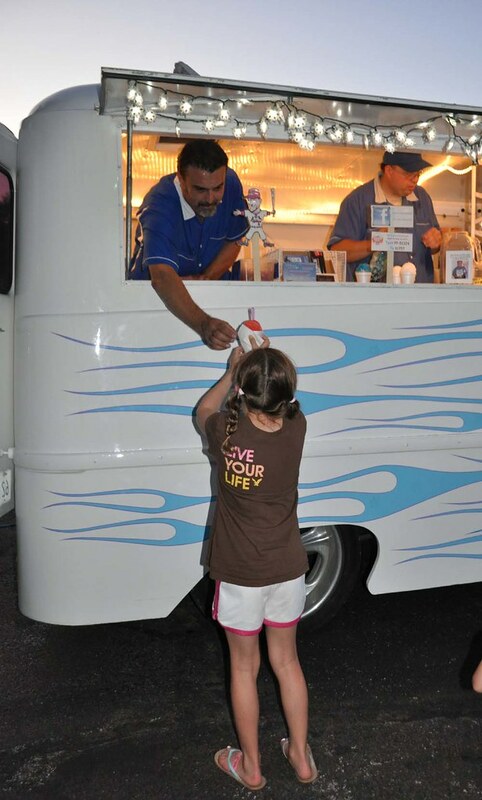 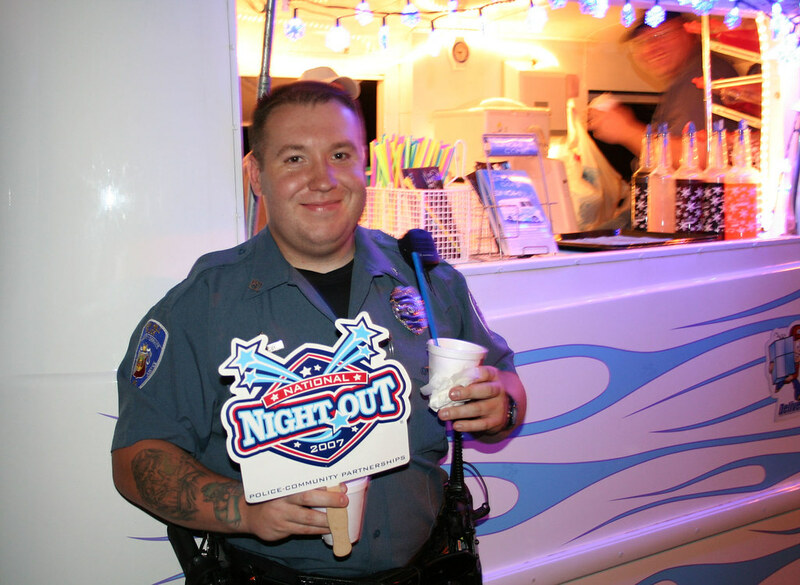 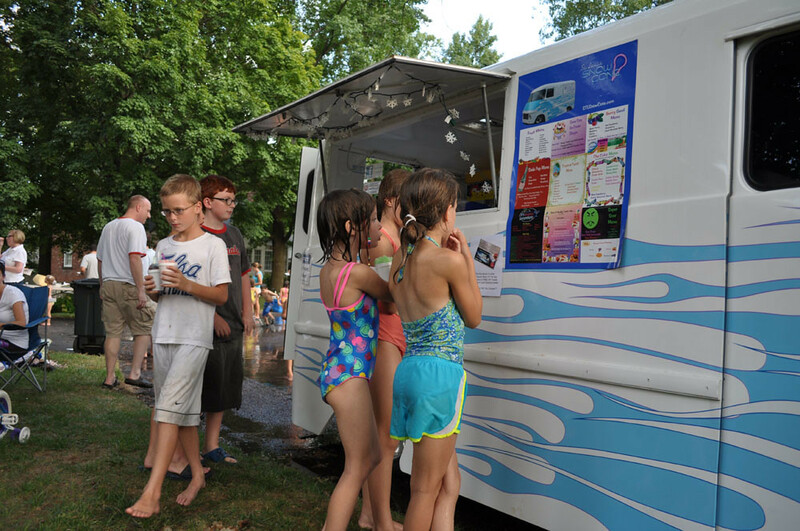 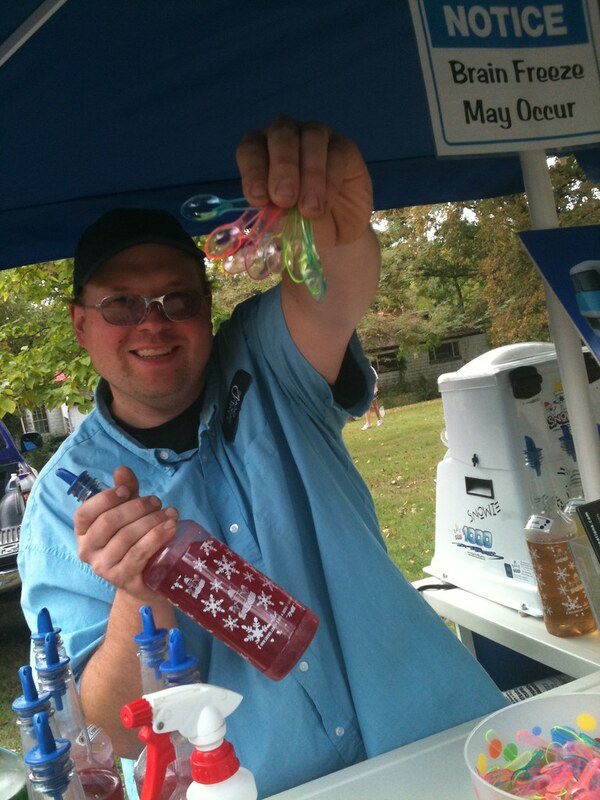 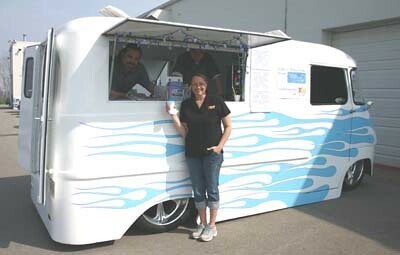 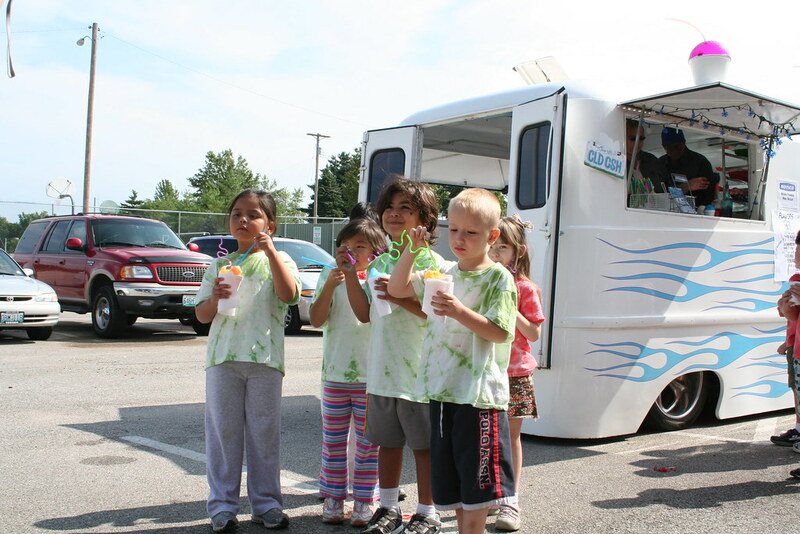 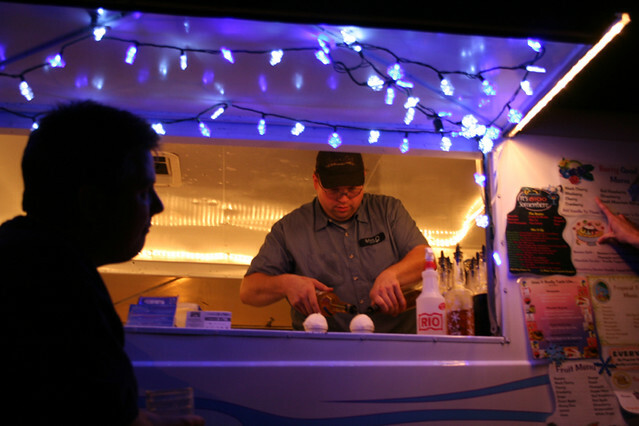 Includes our exclusive St. Louis Snow Cone Mobile Snow Cone Stand for indoor or outdoor events, up to 2 hours of service and up to 100 6oz Snow Cones. 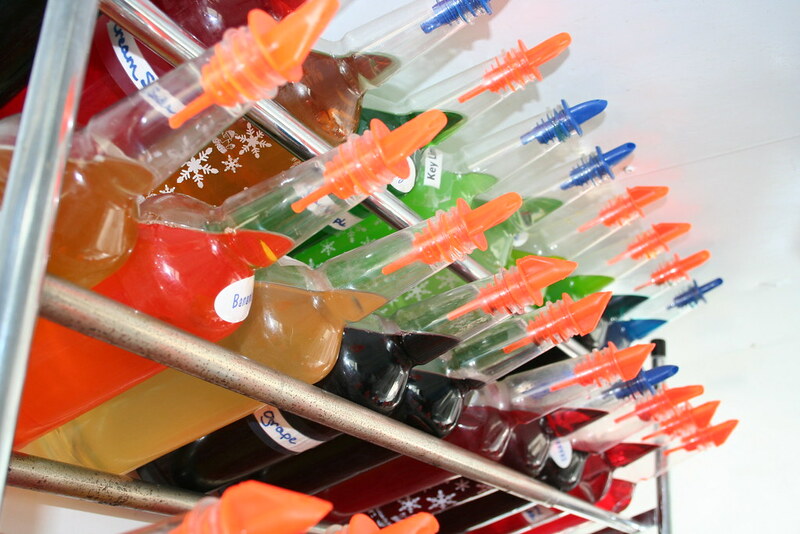 -Substitute for real fruit juice flavors $50 for the first 100 servings & only $1.50 each for extras. 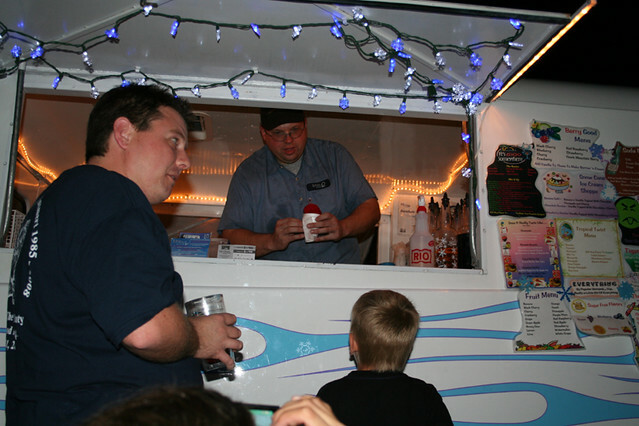 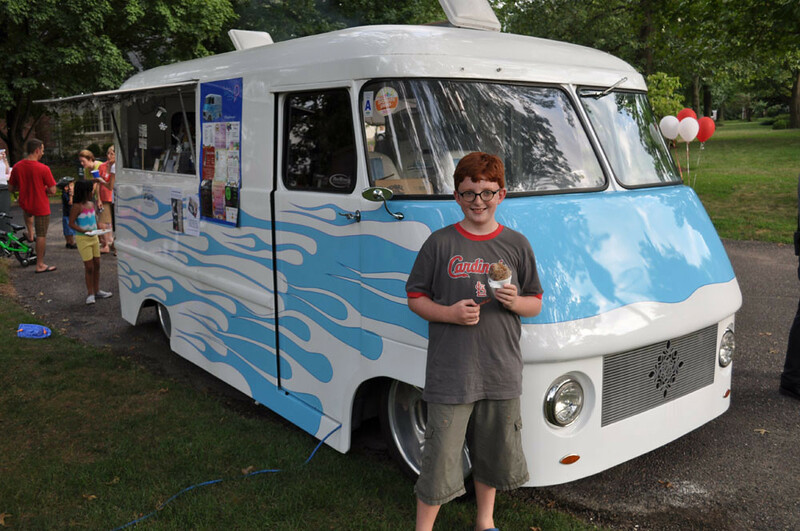 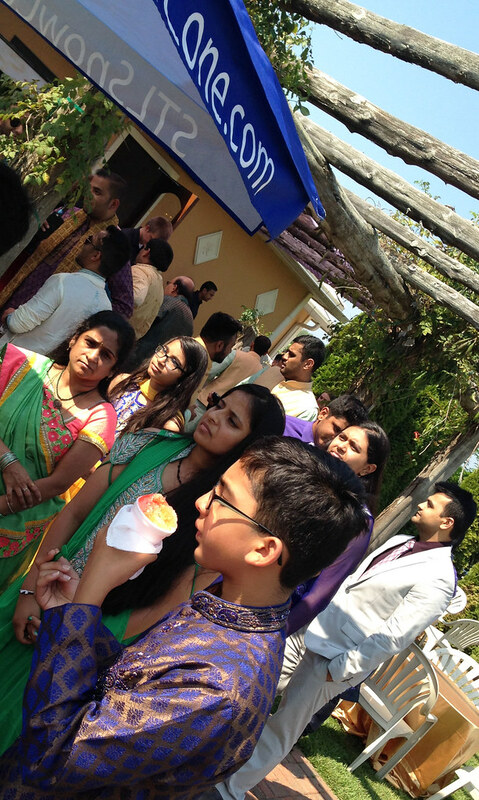 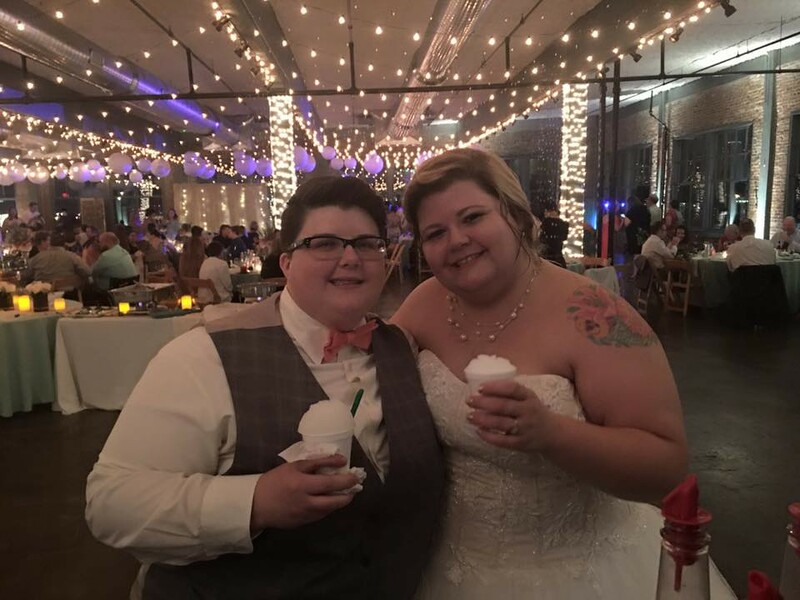 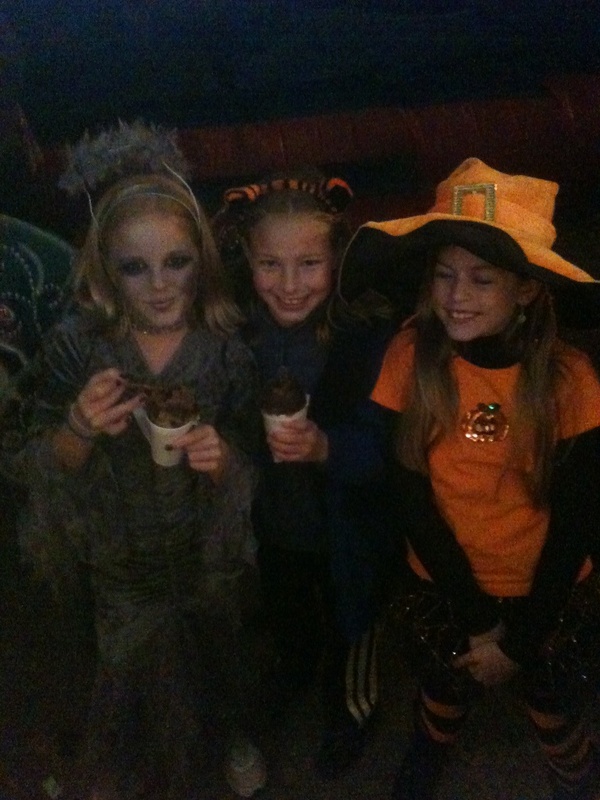 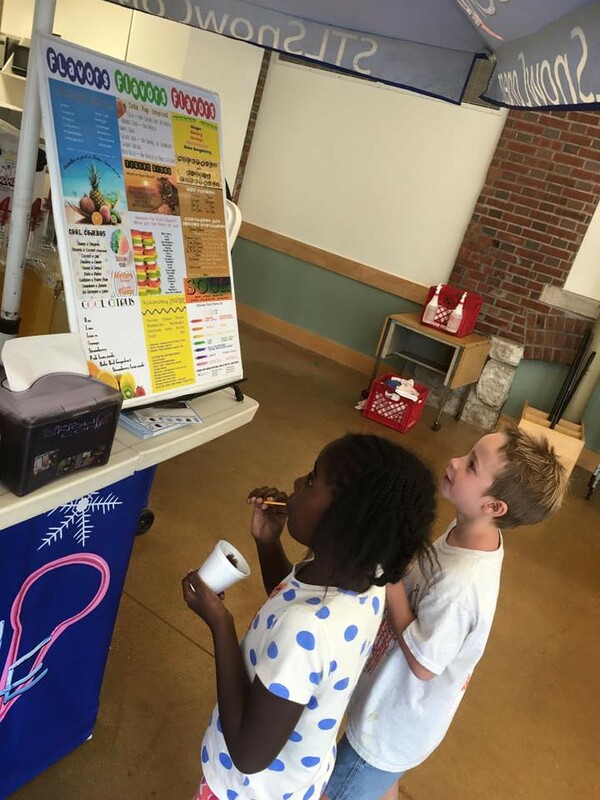 Each event includes Staff to serve your guests & our entire Flavor Menu unless you prefer a shortened menu with custom flavors, only Sugar Free Flavors or our S’Cool Menu (Totally kid friendly and made especially with kids in mind). 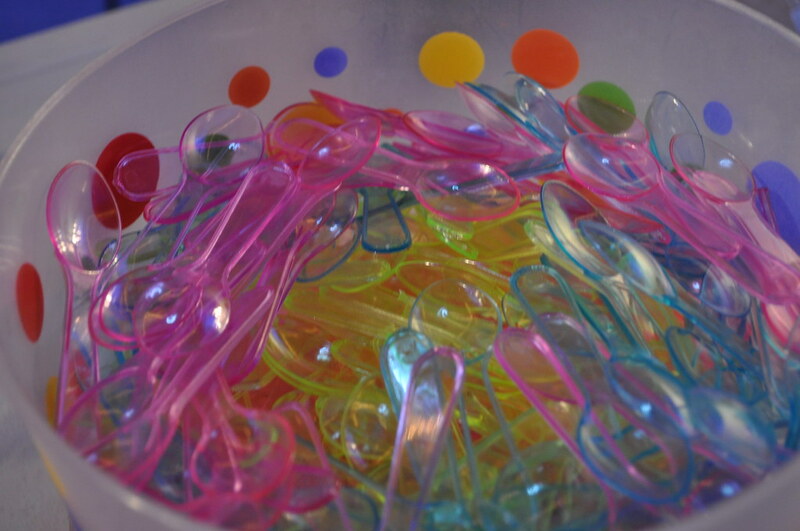 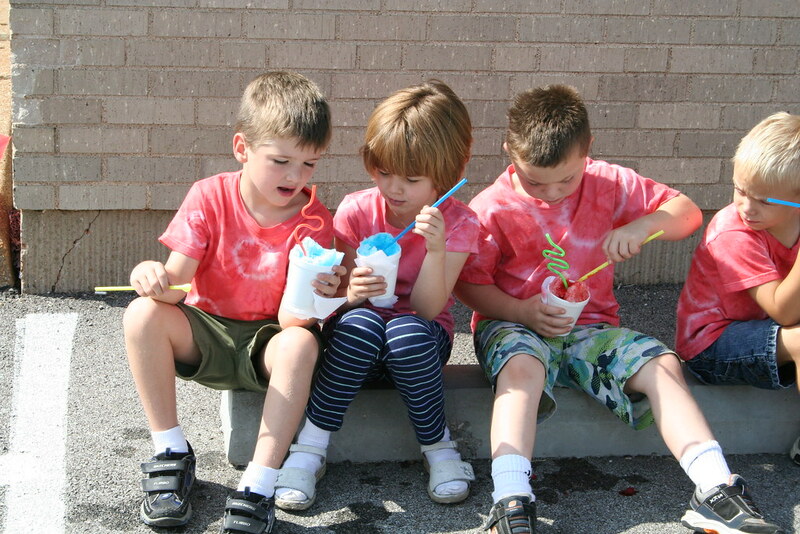 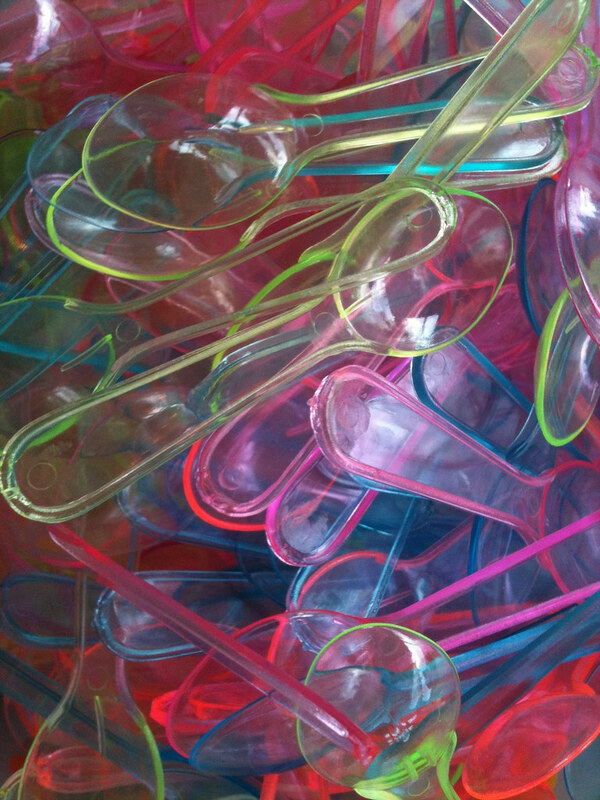 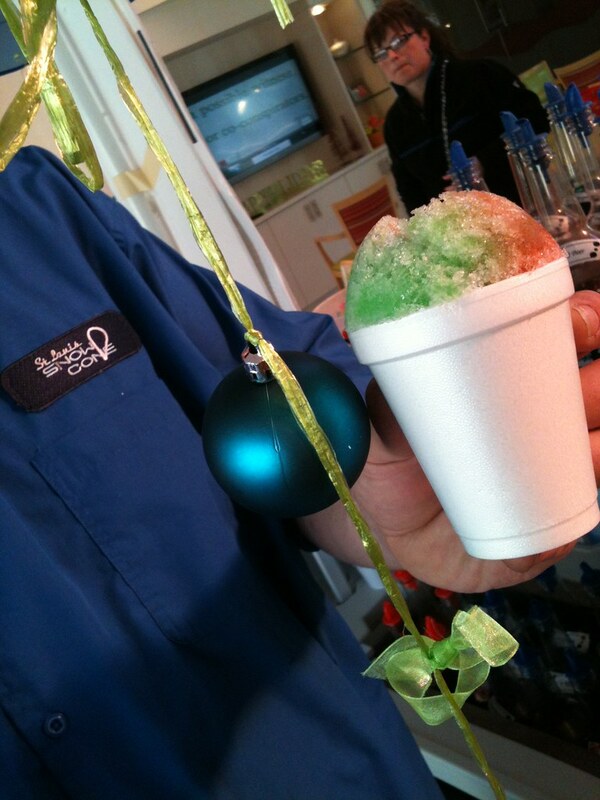 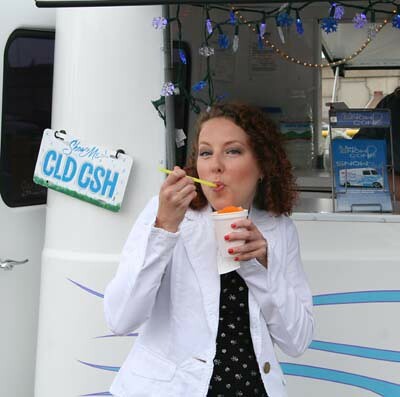 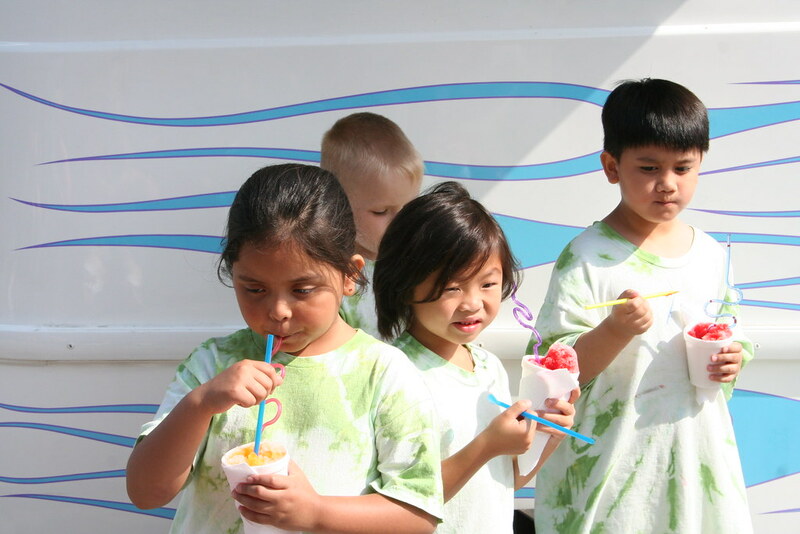 Snow Cones are served in 6oz styrofoam cups with our exclusive Snow Shovel Spoons. 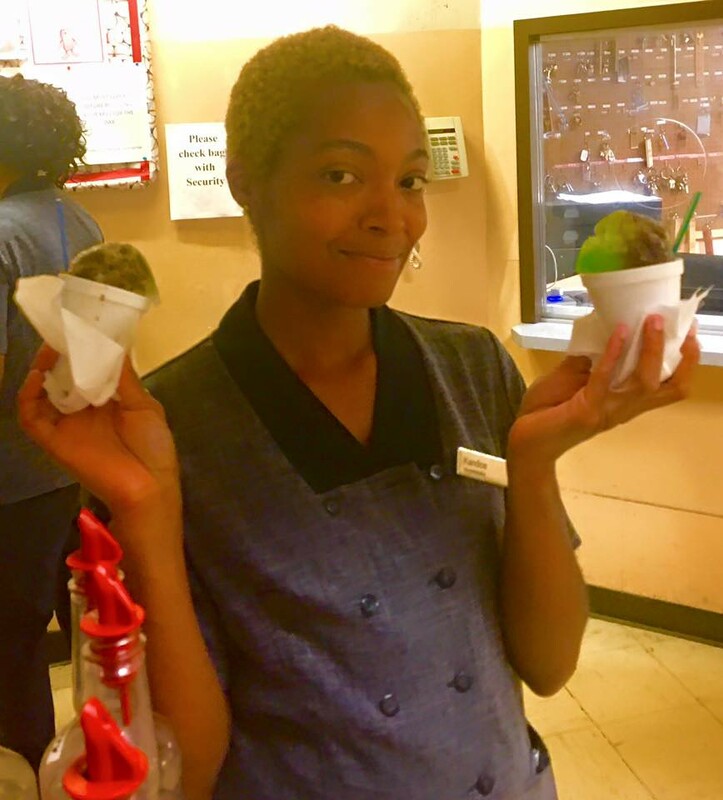 If you’d prefer your Cones to be served in heavy paper cups, please ask in advance for availability and pricing.